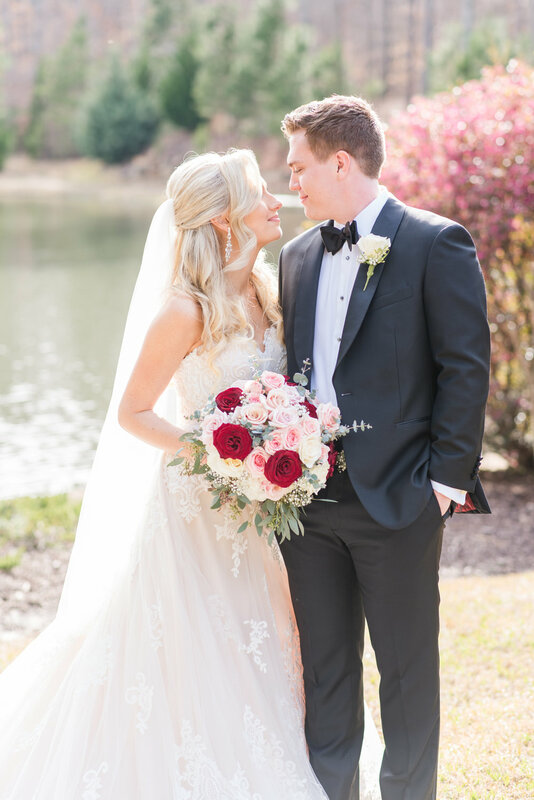 Saturday, March 23 was probably the most beautiful day we’ve had in 2019! 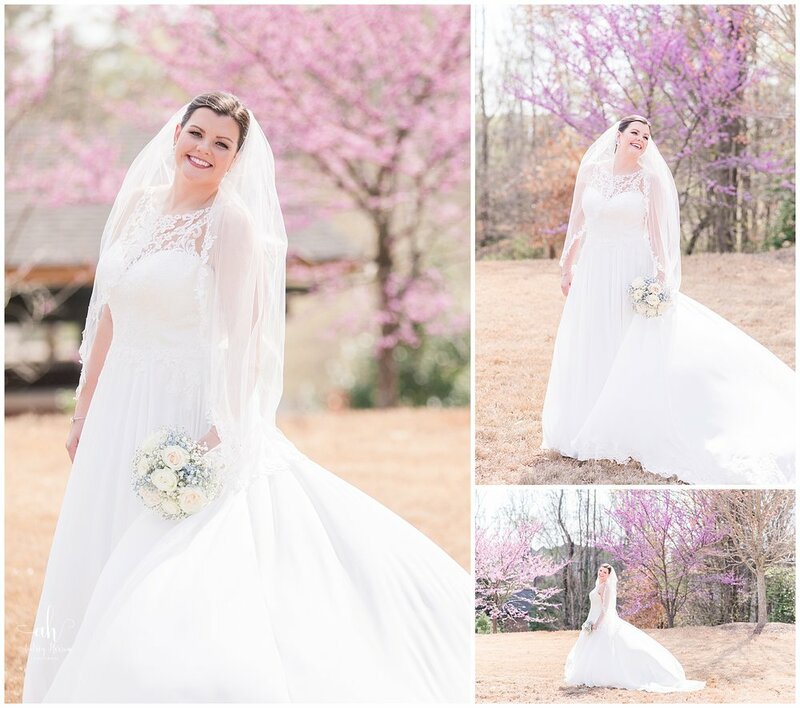 The weather was perfect, the sun was shining and the spring greens were beginning to bud out on all of the trees at 9 Oaks Farm in Monroe, Georgia, where Chelsea and Tommy were getting married. 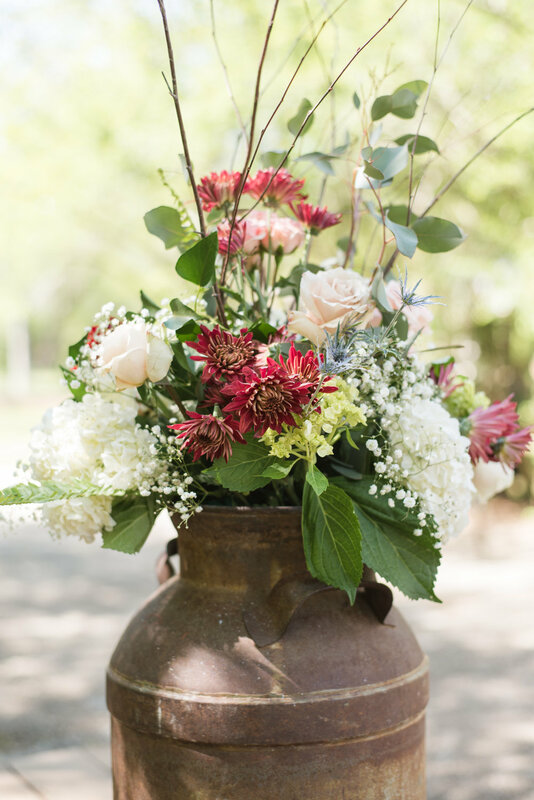 Chelsea loved the farmhouse look of 9 Oaks Farm and she loved all of the things that 9 Oaks includes with their weddings. 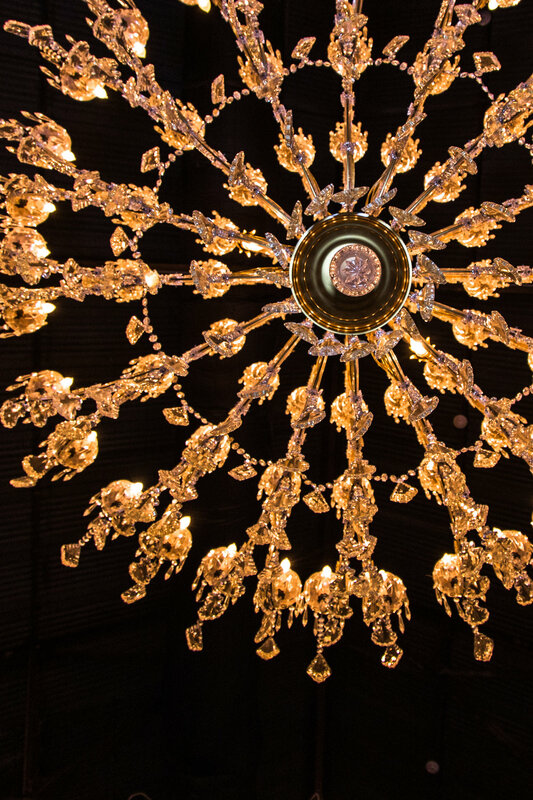 (9 Oaks is one of my favorite venues so I second all of that!) 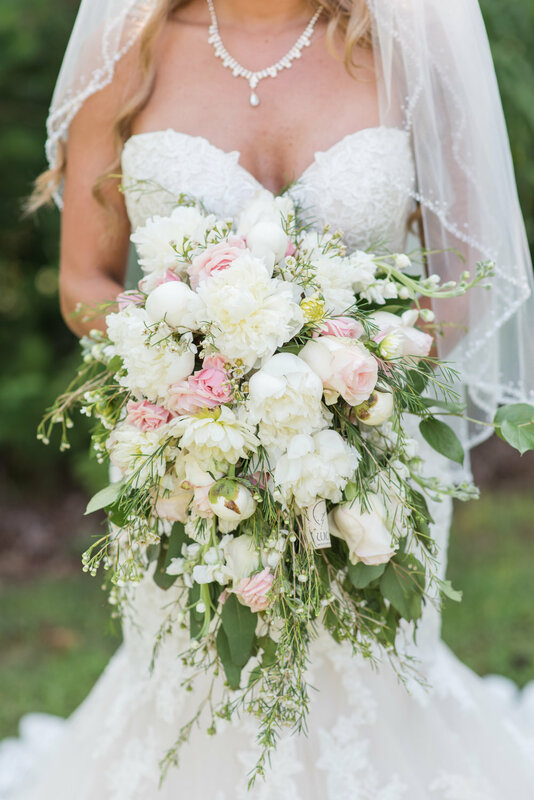 On, who owns the property and creates all of the floral designs for her brides, did a stunning job on Chelsea’s bouquet! 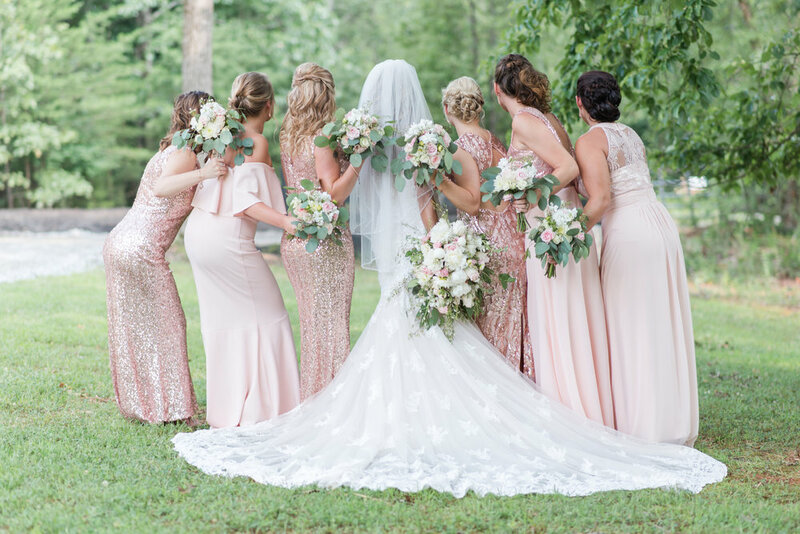 The colors complimented her rose gold color scheme and blended beautifully with the bridesmaid dresses that she picked. 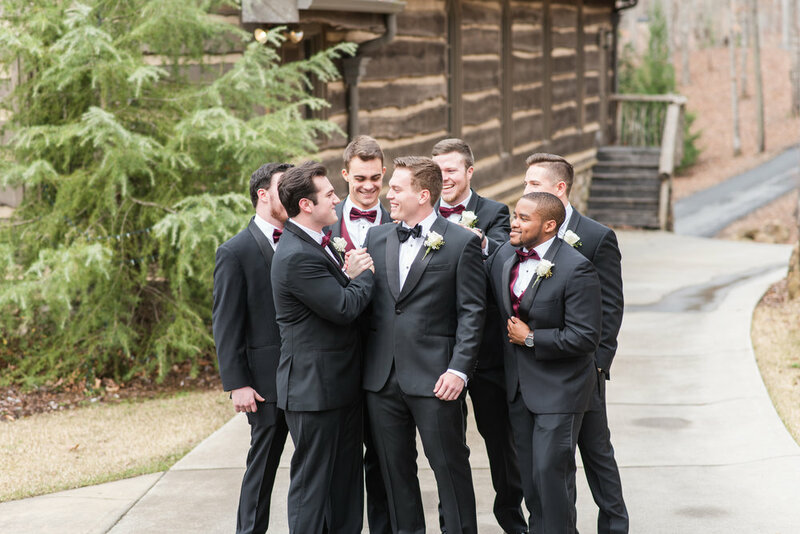 After shooting details, my second photographer, Kristal, and I went to hang out with the guys. Tommy was relaxed and smiling and enjoying the day—he didn’t seem a bit nervous! The girls were putting the finishing touches on their make-up (Ya’ll…Chelsea did her OWN make-up!) and then we went out in front of the big farmhouse to get some shots of them in their robes. Once Chelsea was in her gown, we headed back out for bridal portraits and pictures with her family. 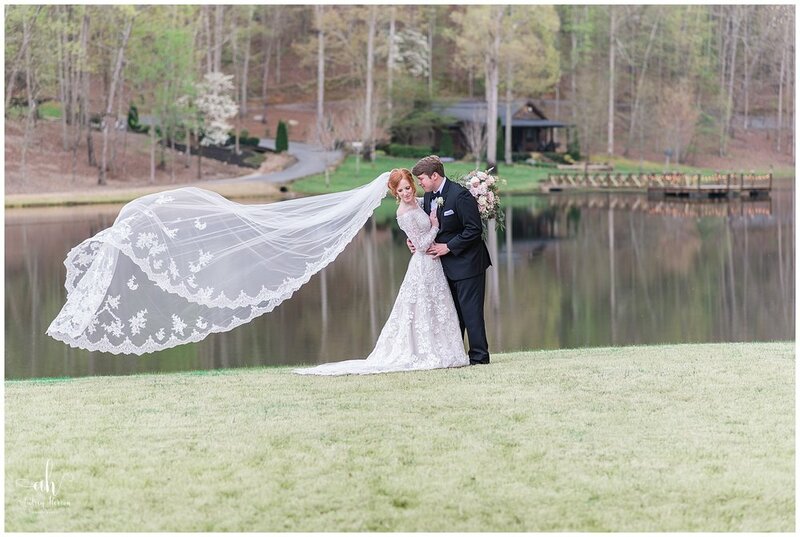 Chelsea’s strapless lace gown was completed by her cathedral length, lace trimmed veil…and ya’ll…she was just stunning! 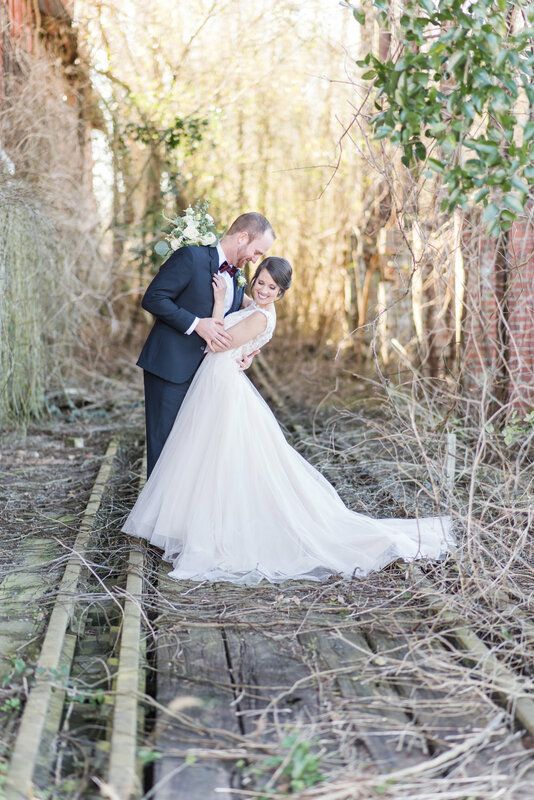 Tommy and Chelsea shared a sweet first look and then we shot their portraits. 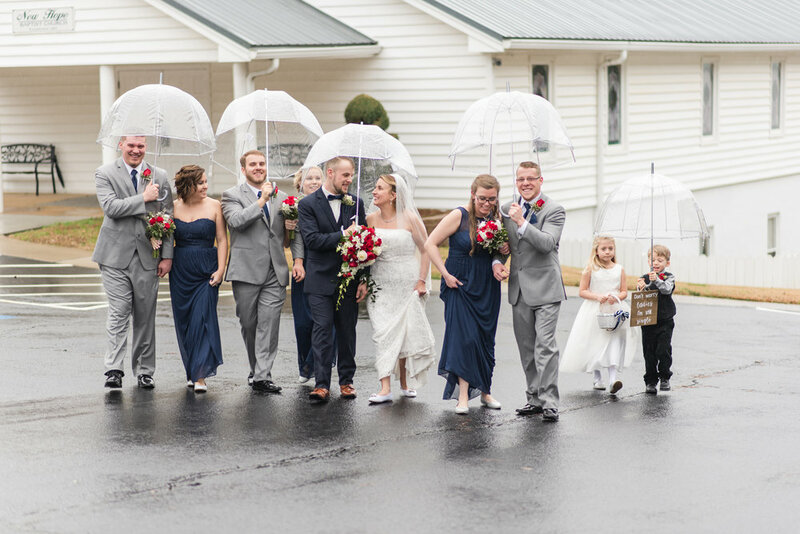 When it came time for the ceremony, everyone attending was all smiles as the ring bearers and flower girl came down the aisle pulling a wagon with two sweet baby girls in lace dresses. 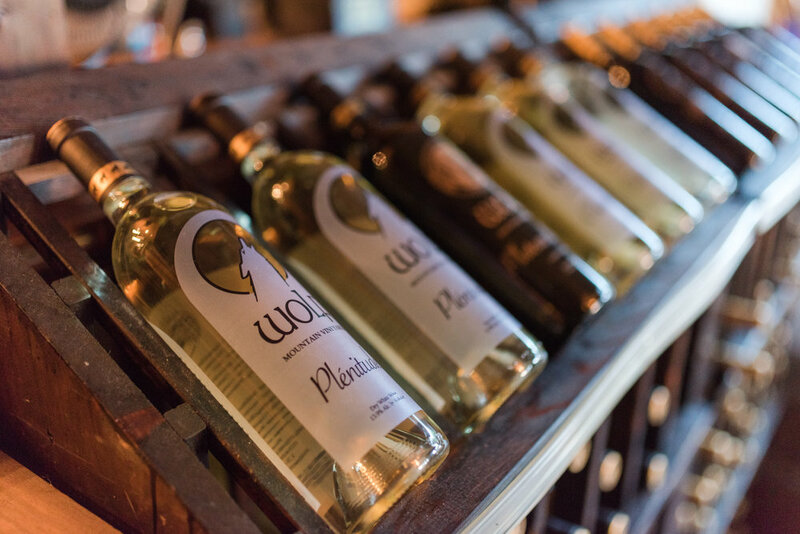 Chelsea’s friend Dale officiated and she and Tommy wrote letters to one another and put them into a wine box to open on their one year anniversary. 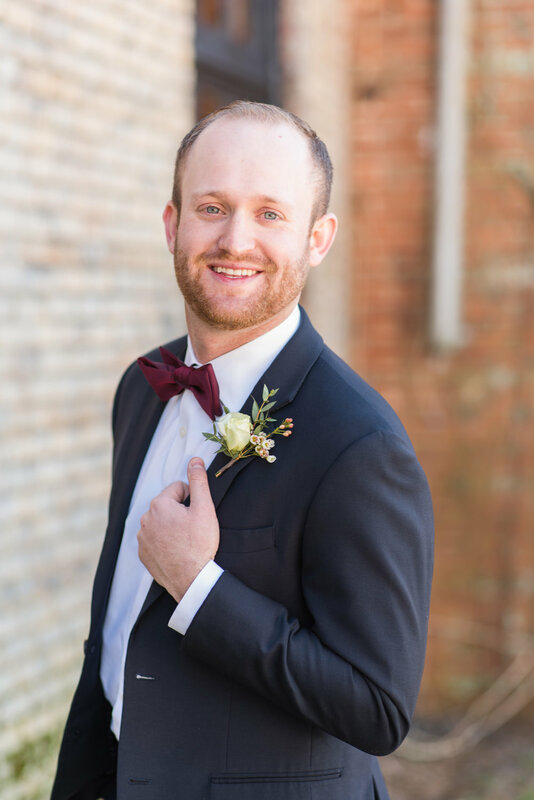 The great thing about a first look is that it allows you double the portrait time…so after family photos, we shot their “just married” photos and utilized the rope swing located behind the white farmhouse. 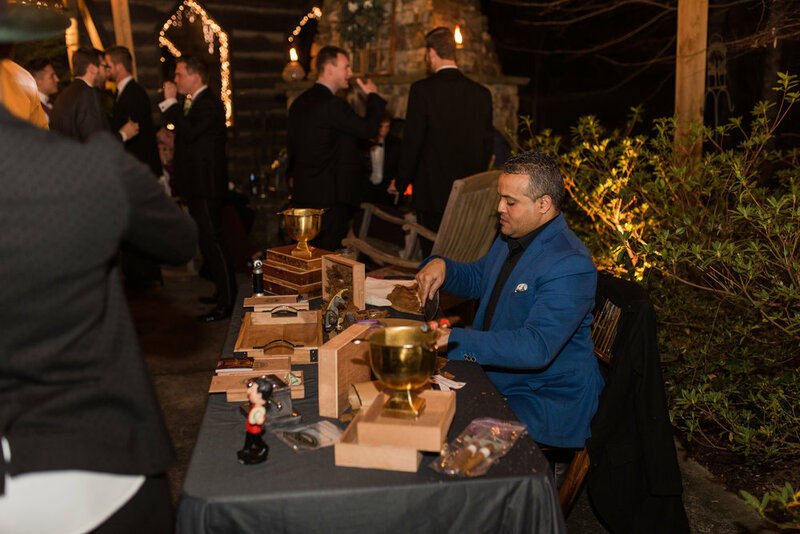 DJ Randy introduced the bridal party and during their first dance, guests showered dollar bills on the newlywed couple. 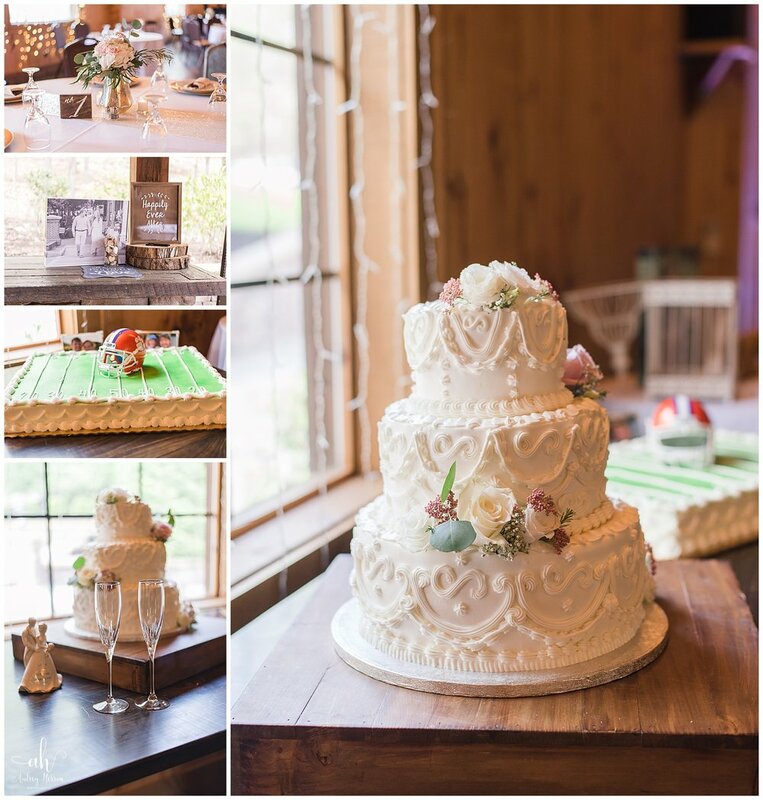 Chelsea’s mother made the cakes and they were beautiful! After dinner, cake cutting and dancing with glow glasses and sunglasses that read “Crunk in love” Tommy and Chelsea enjoyed an awesome fireworks show by DJ Randy and a sparkler send off. 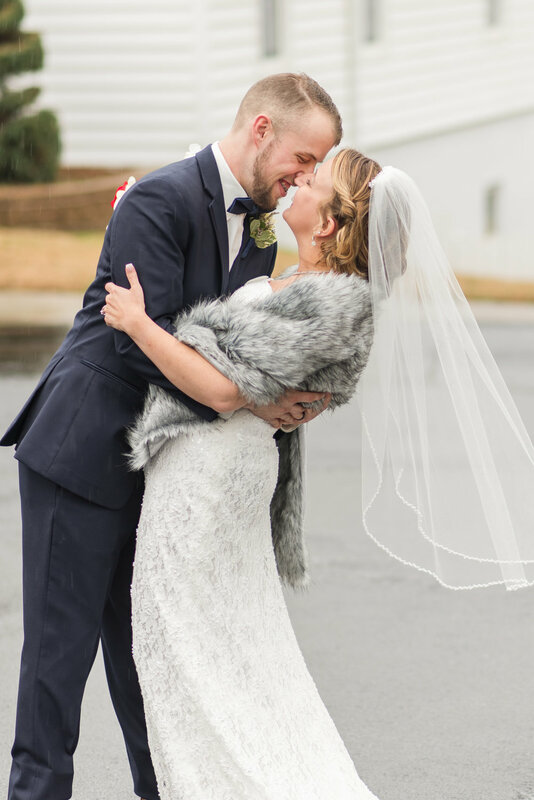 I am so excited that I was able to share this time with them and capture these memories! 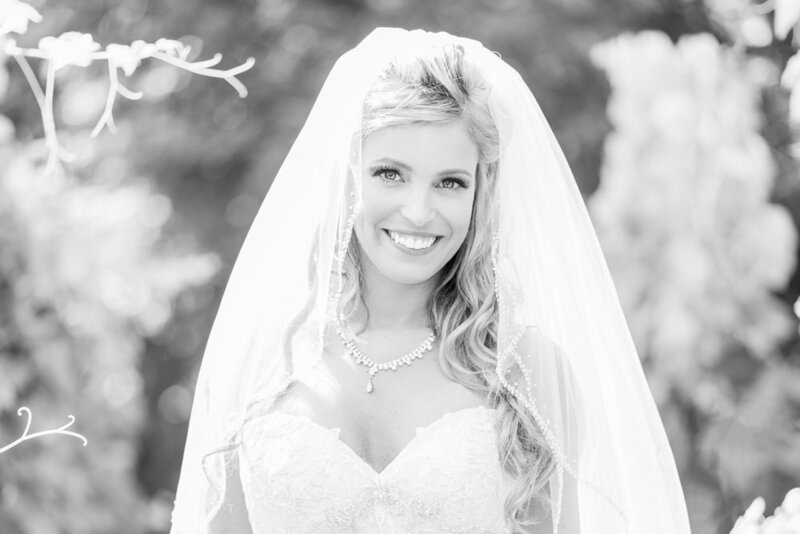 Chelsea, I wish you and Tommy a blessed life together!! When I first spoke with Lindsey, one of the reasons we connected was because we were both moms! Chase is a firefighter in Loganville, which is where I grew up, and they have two handsome boys—Cason and Watson. 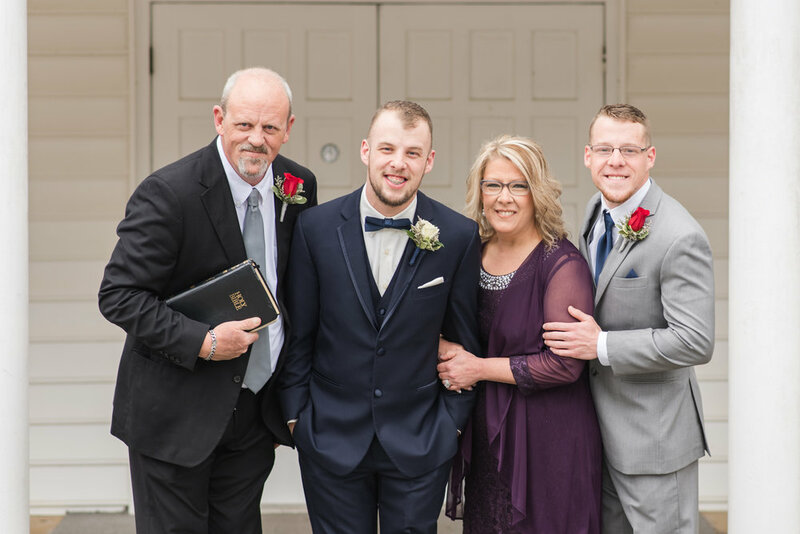 To be able to capture the day that these four officially became a family was really special! 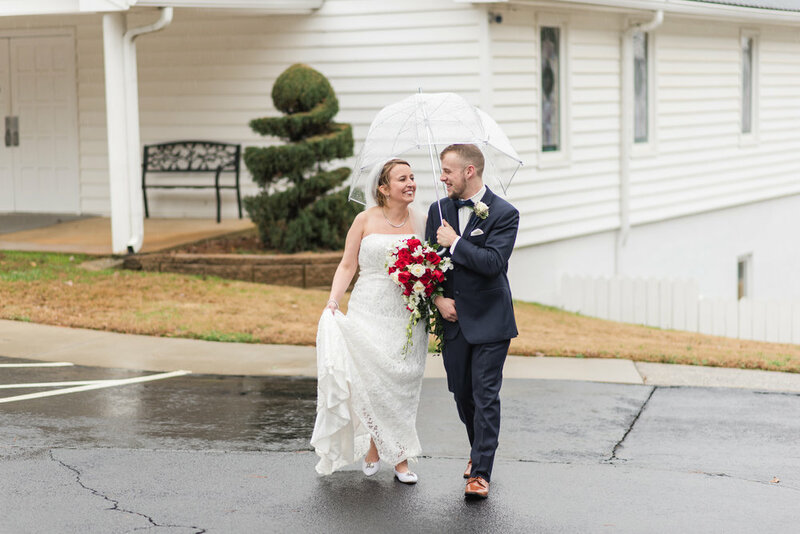 Their day began at the James Madison Inn, which is located in historic Madison and right next to The Variety Works wedding venue. We had a few sprinkles but the rain and clouds soon gave way to sun in the afternoon! 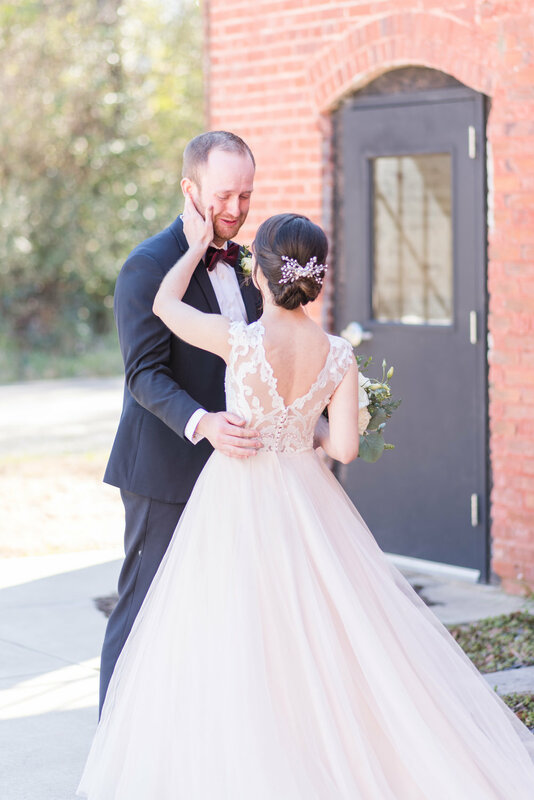 Lindsey’s gown was absolutely stunning—and she looked every inch the classic southern bride with her cathedral length veil and her gorgeous bouquet created by JL Designs that included cotton blossoms! 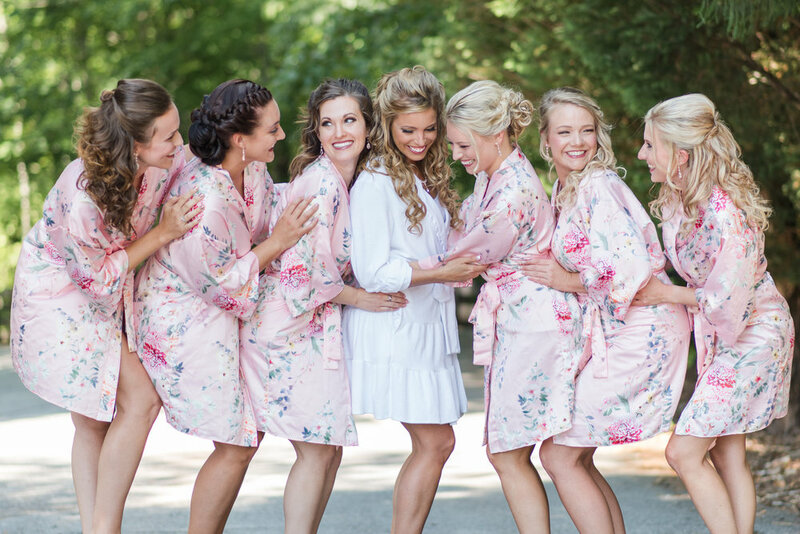 We took advantage of the southern-style porch of the James Madison Inn for the shots of Lindsey with her bridesmaids in their lace trimmed robes and her mom zipping her into her gown. 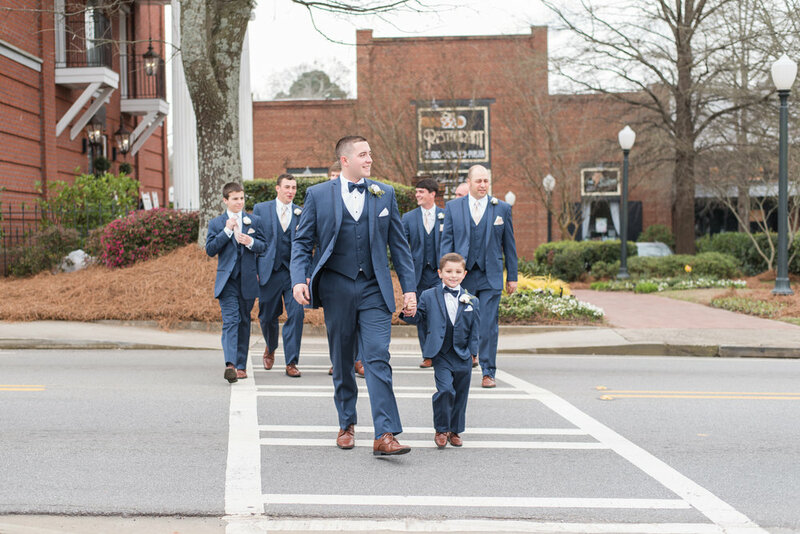 Lindsey included her sweet boys in her day, and Cason had a great time getting groomsmen shots with his dad! 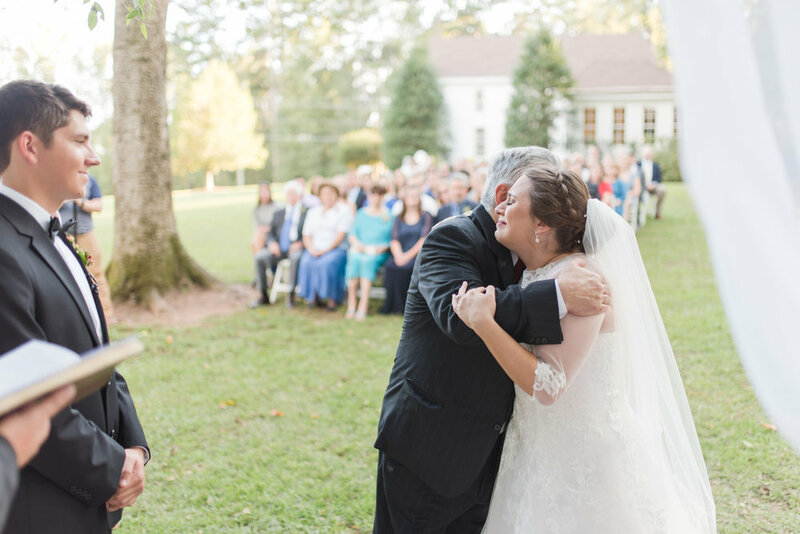 When it came time for the ceremony, and Lindsey began her walk down the aisle with her dad, Chase’s eyes filled with tears as he watched Lindsey gliding toward him. 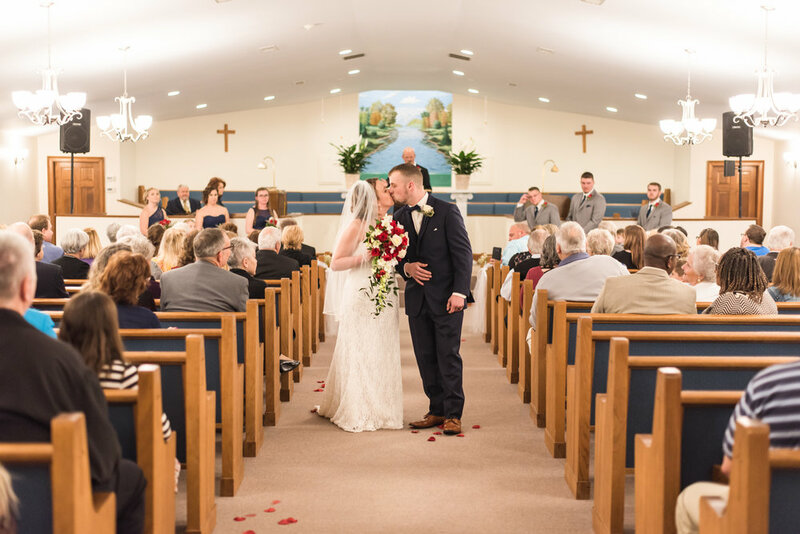 Their God-centered ceremony included a rustic cross with three cords that Lindsey and Chase braided, payers, and a joy-filled kiss as they were pronounced husband and wife! 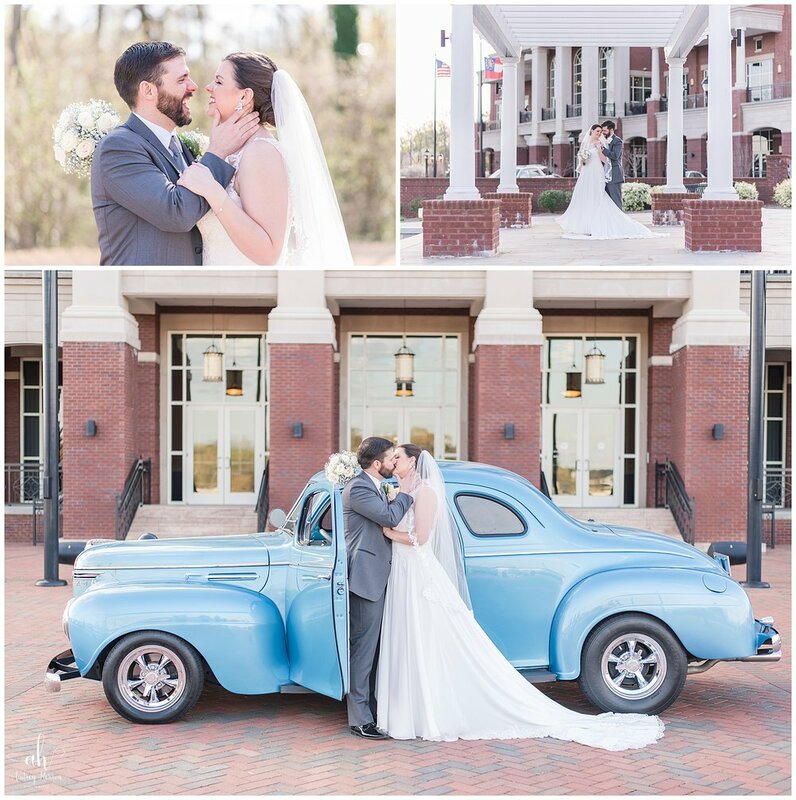 After capturing some beautiful portraits of Chase and Lindsey at the front of the James Madison and the gorgeous lawn of The Variety Works, the couple was ready to celebrate their marriage and party at the reception! 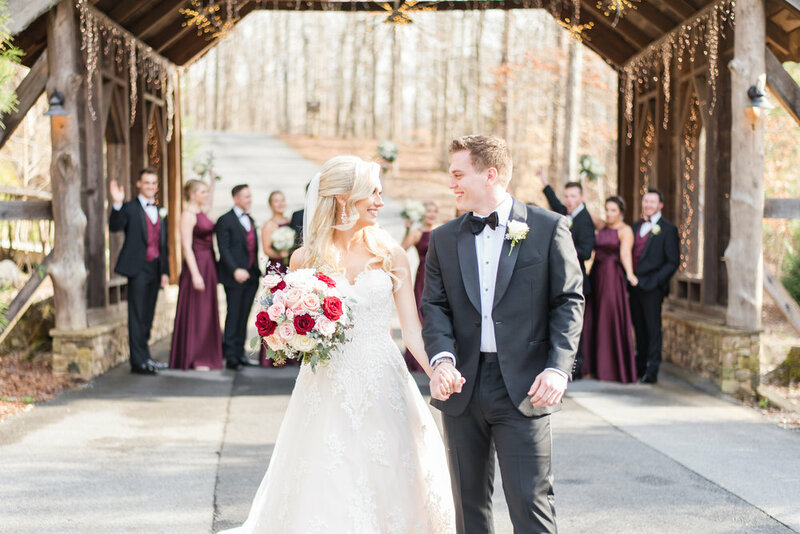 They shared their first dance and meal together, and when it came time for cake cutting, Lindsey couldn’t help herself and playfully wiped some cake on Chase’s nose. 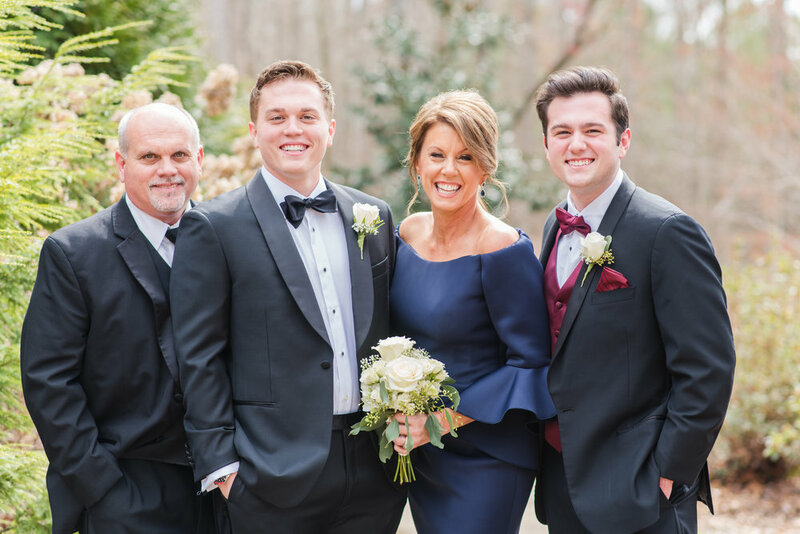 After the father-daughter and mother-son dances, Chase and Lindsey grabbed their boys and shared a sweet family dance. 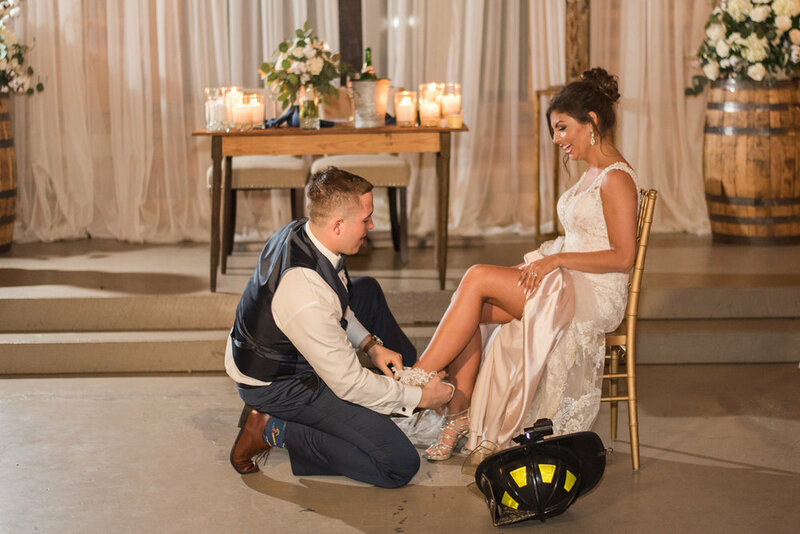 One of the most memorable moments of the reception was when it came time for the bouquet and garter toss, and Chase danced out of the back room dressed in his firefighter jacket and hat to retrieve Lindsey’s garter…the whole room was laughing! 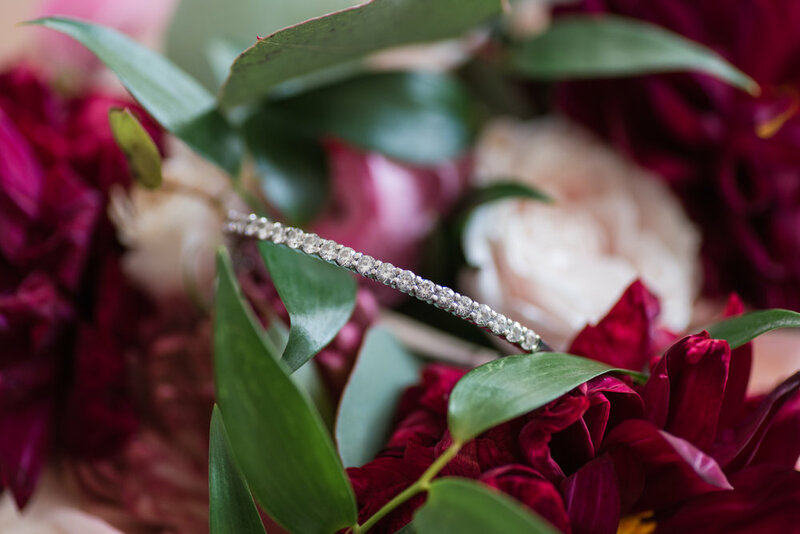 Their beautiful day closed with a romantic sparkler send-off. I am so excited for this sweet family as they offically embark on the journey of life together. Chase and Lindsey, congratulations! I wish you and your sweet family every joy and blessing imaginable! The week before Justin and Bryn’s wedding, the forecast wasn’t looking good. I’ve learned too not trust the weather forecast until pretty much 24 hours out, and sometimes even that isn’t accurate…but in watching, I’m pretty sure I’ve never seen so many changes—it was almost comical—it went from 50% chance of rain to 30% chance of rain, to possible snow flurries and freezing temperatures after dark, to sunny and 0% chance of rain, back to rain and finally the day before 10% chance of rain….the final verdict was that we got a quick rain shower early that morning and then some sun and clouds the rest of the day with temperatures near 60—lots of prayers went up for Bryn and Justin to have a beautiful day, and ultimately, those prayers were answered! Bryn grew up in New Jersey and Justin grew up in Georgia. Both went to the University of Georgia (my alma mater…GO DAWGS!!) and graduated this past May. 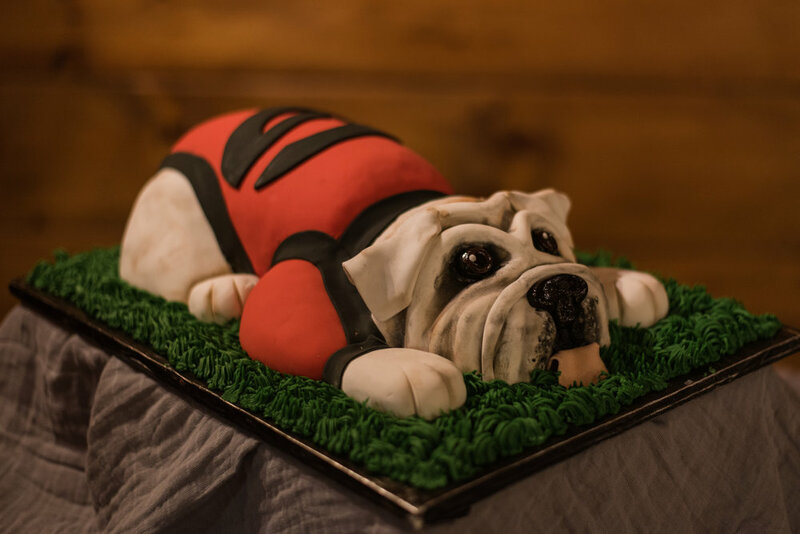 Bryn had a UGA garter and Justin’s groom cake was probably the most awesome one I’ve ever seen!! (Keep scrolling—you’ll see it!) 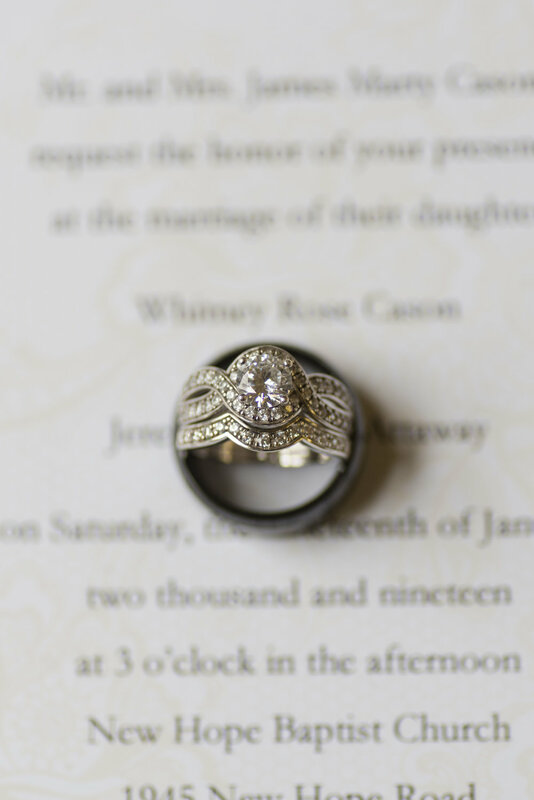 If I can, I always love to incorporate something special into the detail shots…and a few days before their wedding I was out at an antique store when I came across some oval brass numbers. Curious, I asked the owner of the shop what they were—and when she told me they were seat numbers in the 1960’s of chairs in Sanford Stadium, I knew I had found the perfect thing to use! 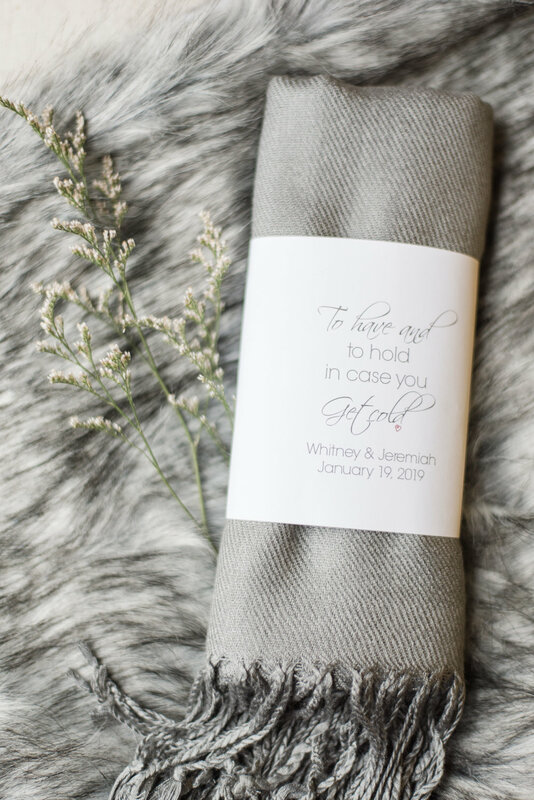 I dug around for a few moments and found the numbers to make up their wedding date—I was pretty excited about this little find! 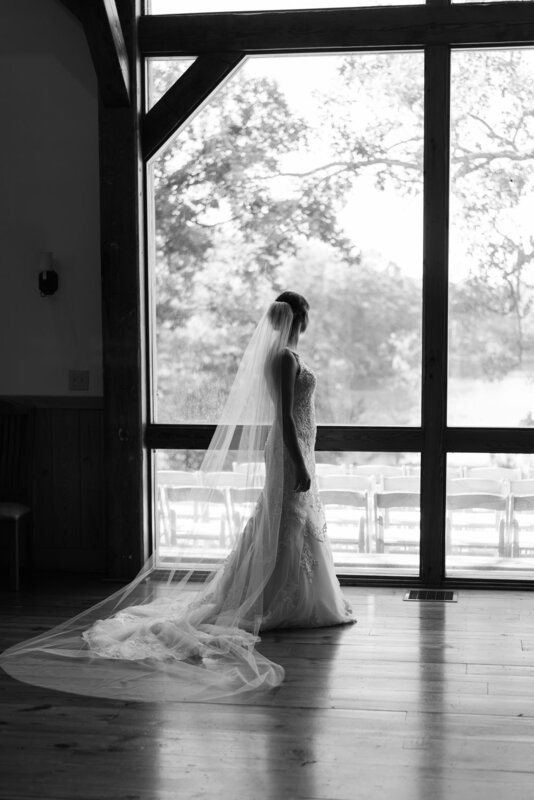 After shooting Bryn with her girls, and Justin with his guys, we prepped for the first look down by the lake. 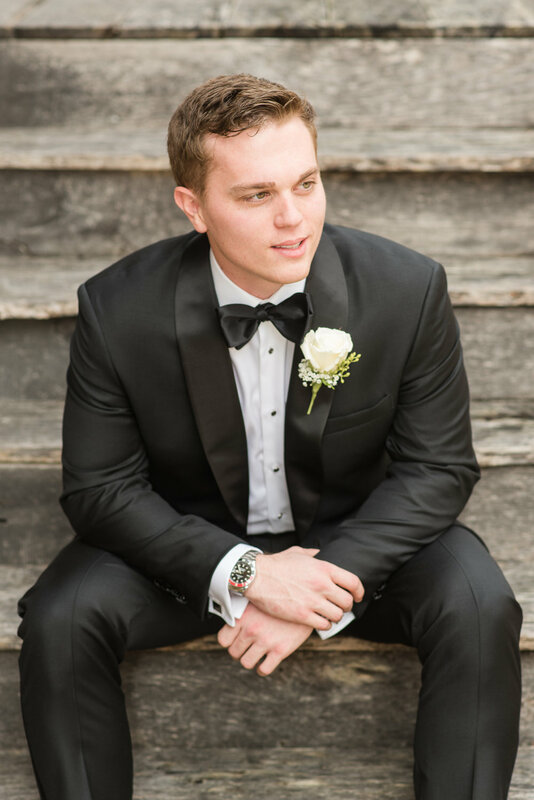 Justin was all smiles when he turned to see his stunning bride—and after a few sweet private moments, they were ready for their portraits. At 5:00, the shuttles began bringing guests down to the ceremony location. 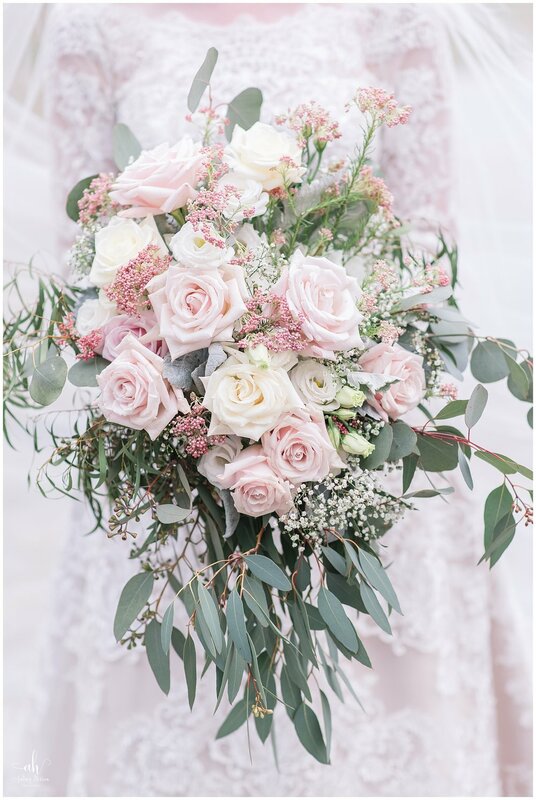 The peaked outdoor location was beautifully adorned with white sheer drapes, and cascades of burgundy, dusty pink and cream roses. 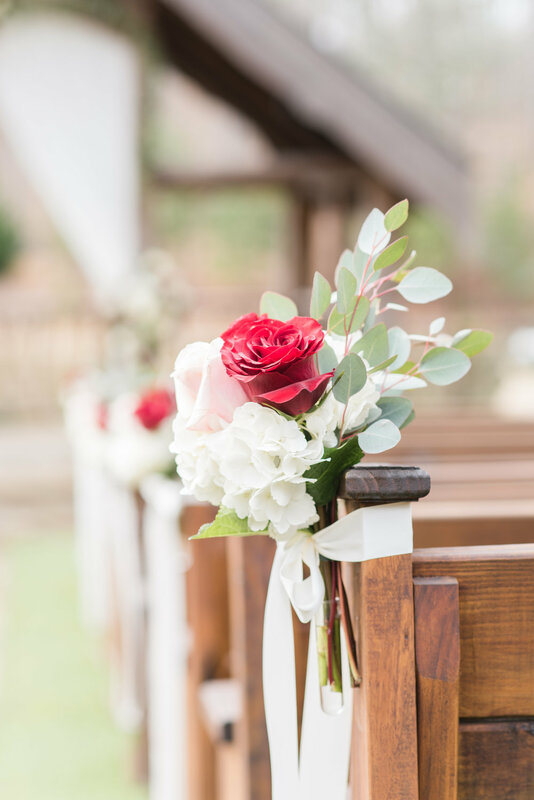 A lighted chandelier hung over a rustic cross also draped with roses. 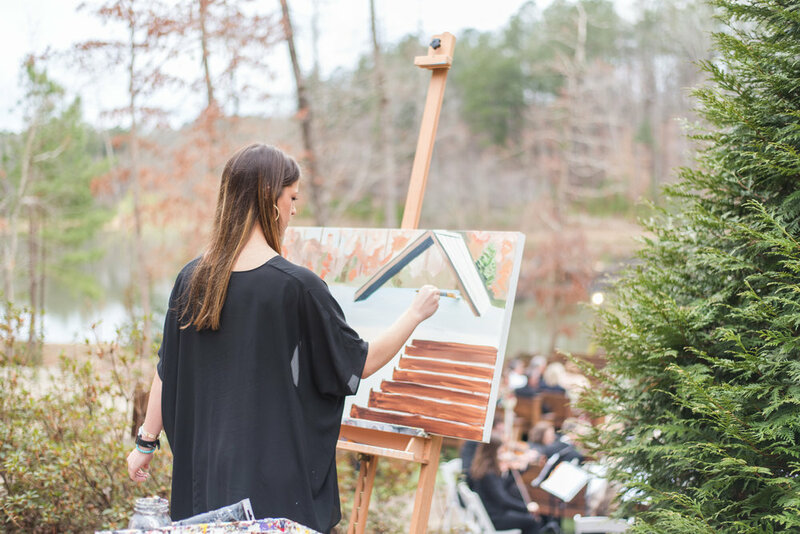 The guests were enjoying the string quartet as they found their seats and one of Bryn’s sorority sisters was busy painting the background on the canvas that would depict a scene from their wedding. 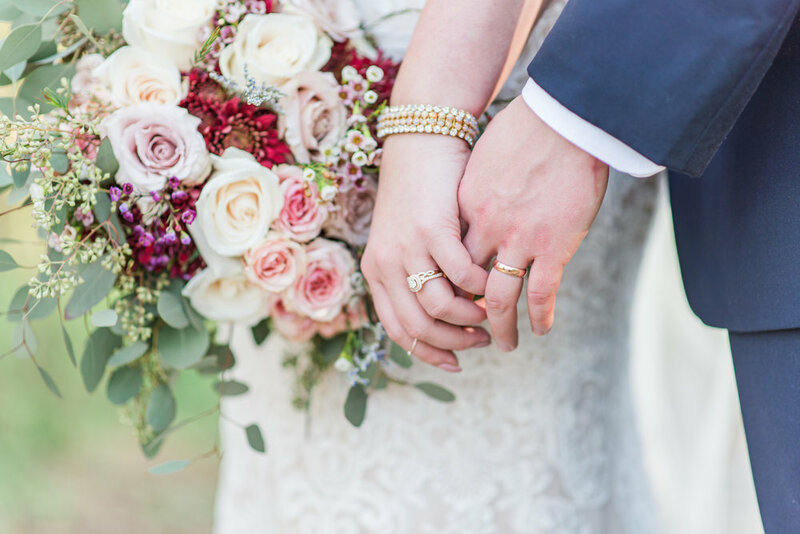 On her father’s arm, Bryn seemed to float down the stone steps in her gown, and she and Justin exchanged vows and rings, and sealed their promises with a kiss. 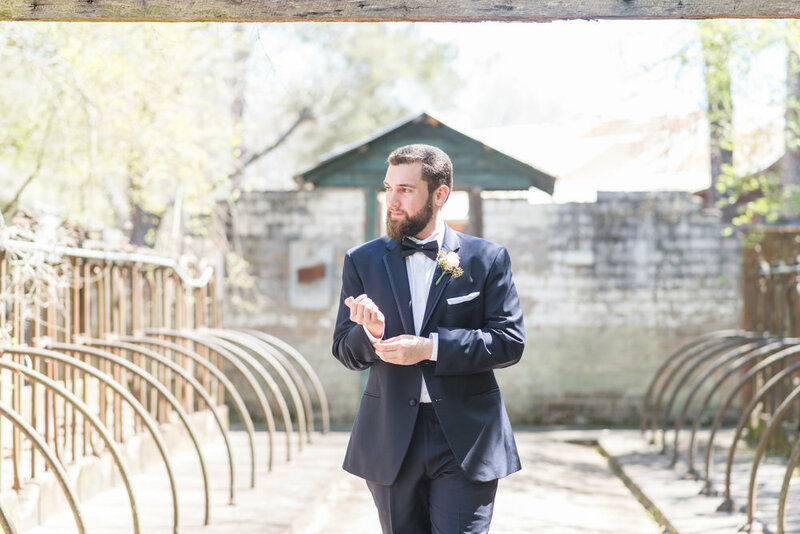 I followed Bryn and Justin out to the small island in the middle of the lake where we shot some “just married” portraits and then they hurried to cocktail hour to enjoy their guests, the giant bowl of shrimp cocktail and the professional cigar roller who was busy making custom cigars for guests. 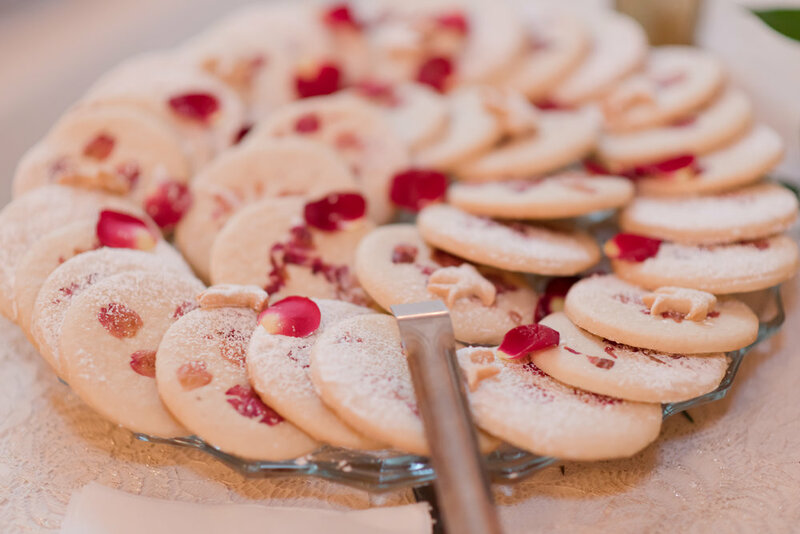 Inside the reception hall, there was a 9 foot Ice cream bar, a full bar for guests, a five-layer wedding cake ringed with red roses, and the toast glasses that Bryn’s mother and father celebrated with at their wedding, nestled in a pile of rose petals. At the reception, Justin and Bryn shared their first dance, and that was followed by Bryn’s dance with her father. One of the sweetest moments was when Bryn teared up and her father gently wiped a tear from her cheek. 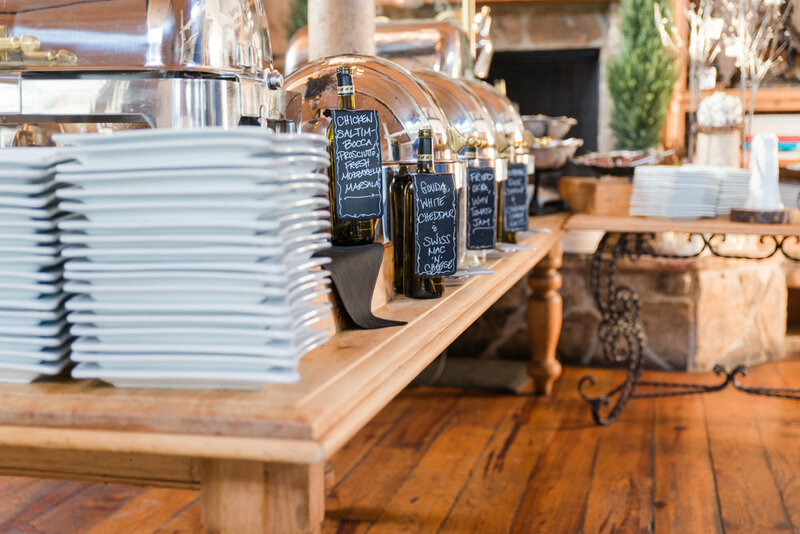 After Justin and his mother’s dance, the servers began to flood the room with plated dinners for the guests. 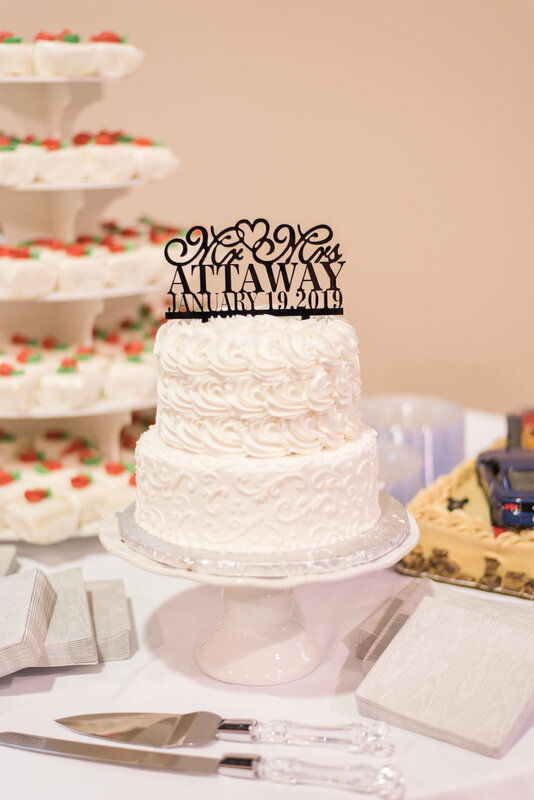 Following the toasts, cake-cutting and bouquet and garter toss, the 1965 Corvette that Bryn and Justin were to drive away in was pulled down under the covered bridge—and I took advantage of it being there with some portraits! 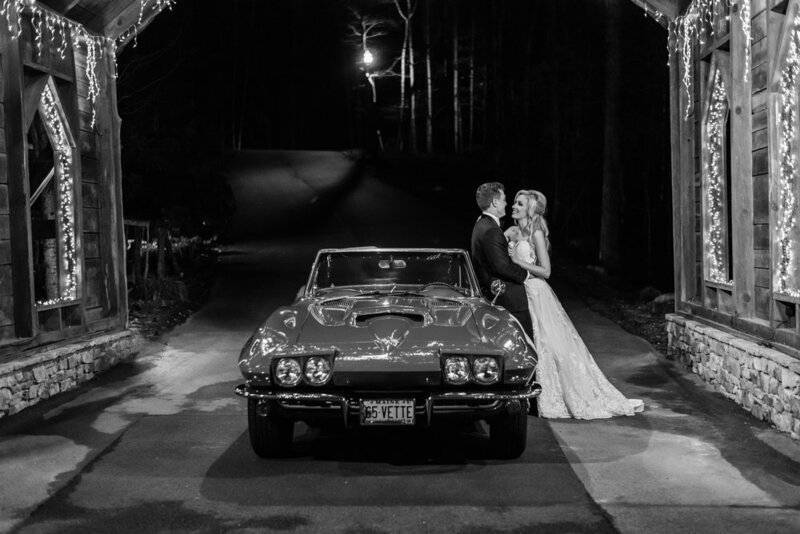 Once the last dance was played, the guests lined the road with sparkers to send Justin and Bryn off in the Corvette! It was truly a gorgeous day, and one I know Justin and Bryn will always remember! 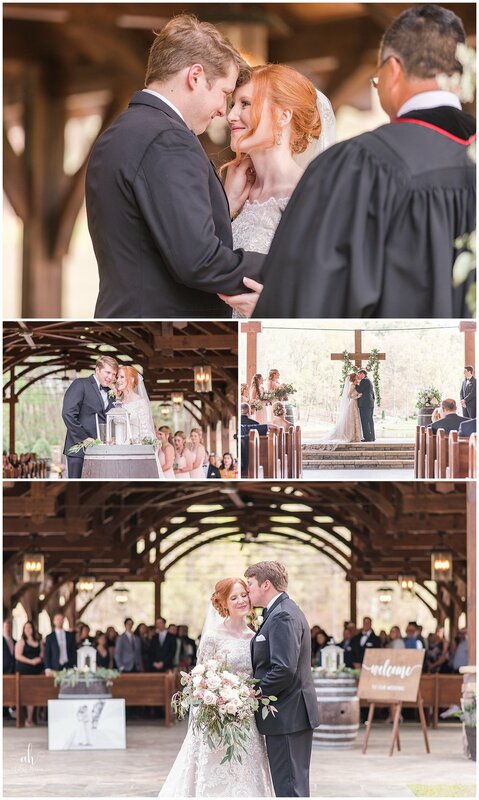 I am so honored to have been able to capture their day—it’s definitely one I will always remember!! Justin and Bryn, may God bless you on this new journey—and GO DAWGS!! When I first met Cassie, there was just something about her that was so genuine and sweet it was impossible not to love her after only a few minutes of hanging out over coffee! Parker was just as sweet when I met him at their engagement session in Madison that summer. 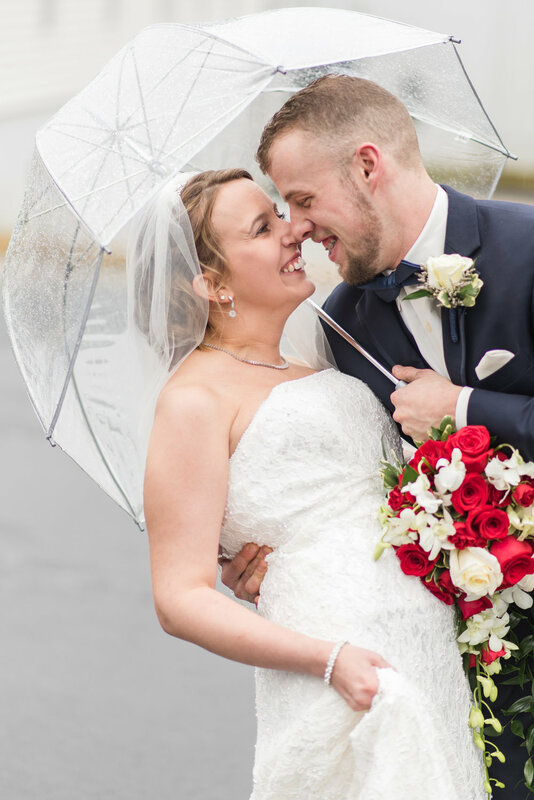 They were so easy to photograph, and full of natural smiles and laughter—just a joy and comfort with one another that made it evident that they were soul mates. 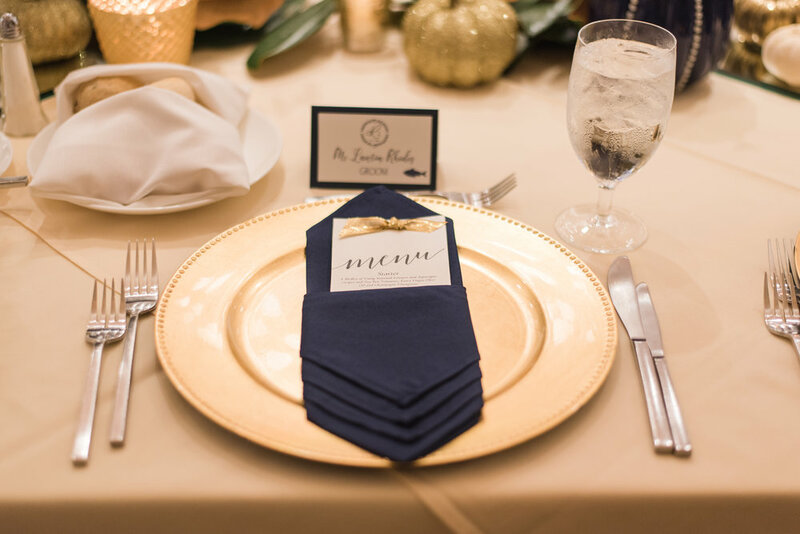 Their families were also amazing—they have such kind parents who were an absolute joy to work with. 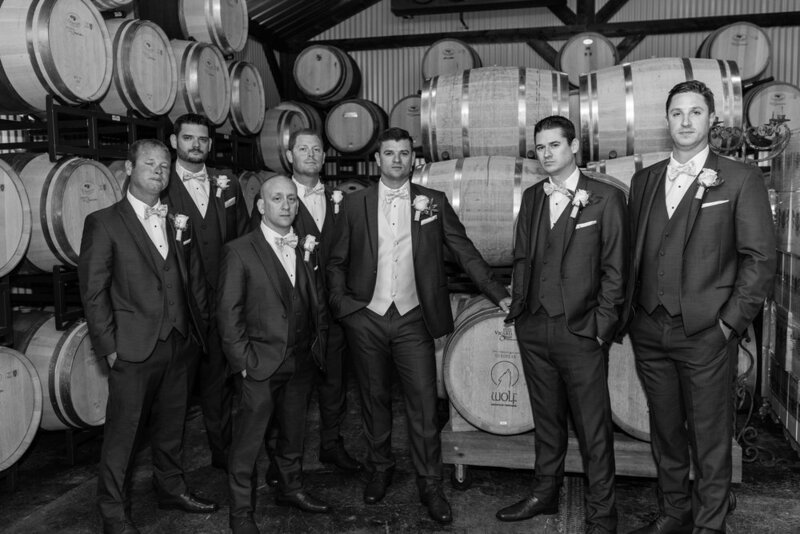 Their wedding took place at Empire Mills on January 26, 2019. 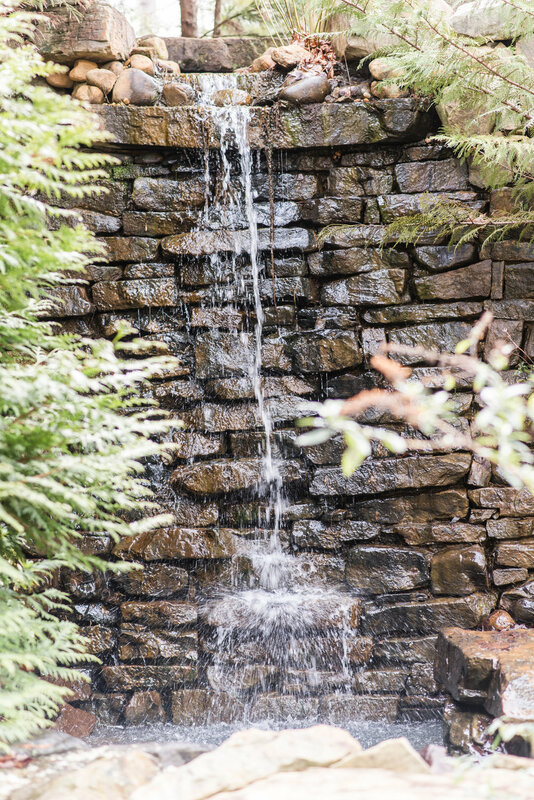 Despite the cool weather, the sun was shining all day—which really helped when we trekked outside for photos! 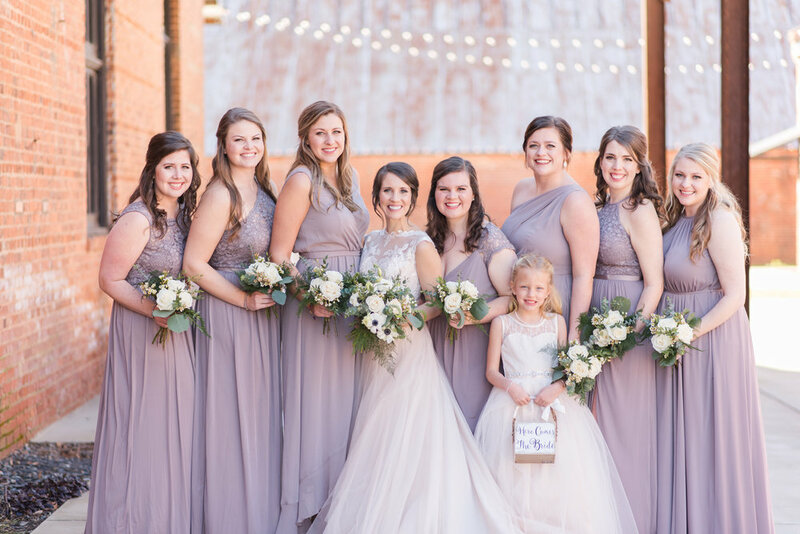 Cassie was absolutely breathtaking in her lace and tulle gown and the colors she picked for her beautiful bridesmaids were perfect for a soft, romantic, January wedding! 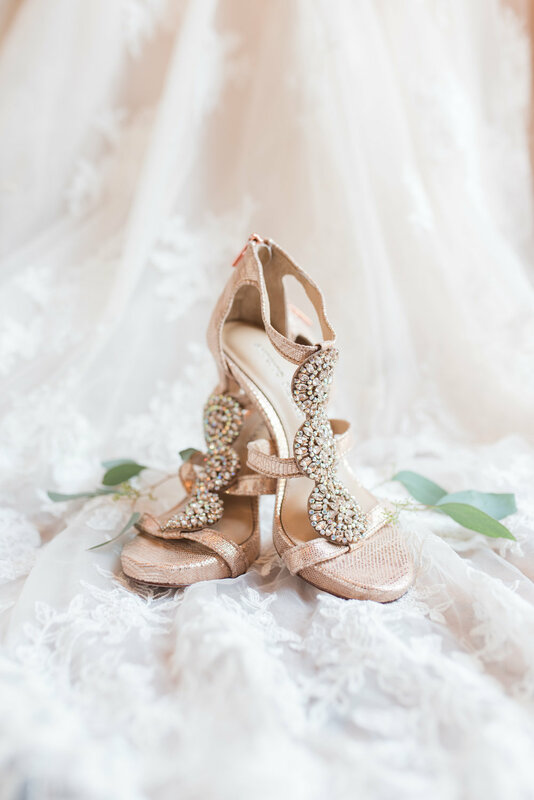 And ya’ll—this bride was all about comfort—she sported some brand new Nike tennis shoes under her gown! 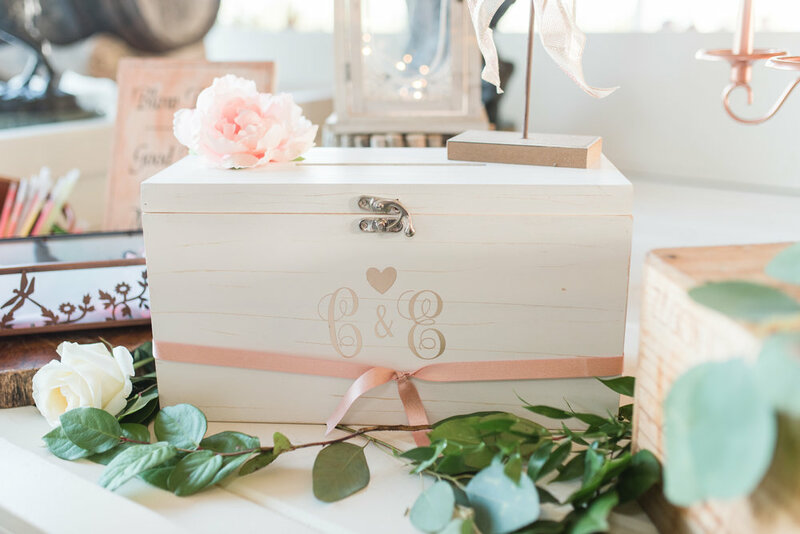 After photographing the girls and Cassie, we prepped for Cassie and Parker’s first look—and it’s one I will never forget! 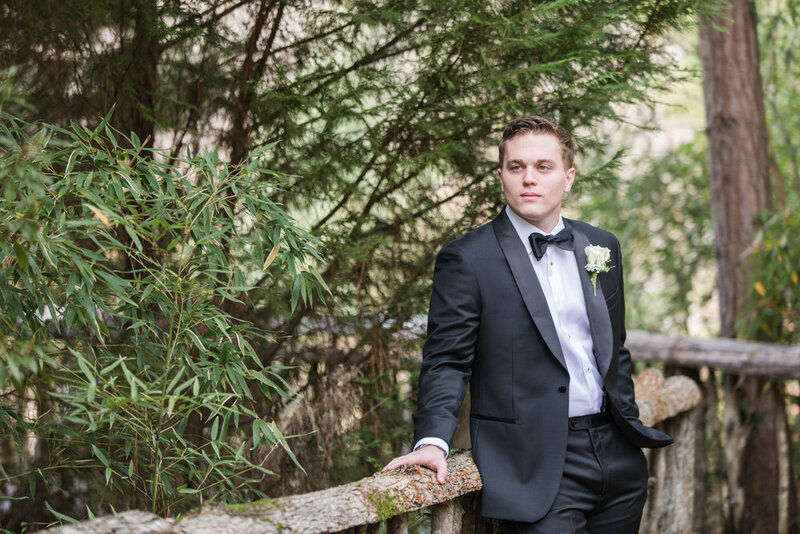 Before Kristal, my second photographer, walked Parker out to the location he was already emotional just thinking about his beautiful bride-to-be. Once Cassie called his name and began to walk toward him, I have to be honest—my eyes were watering as I was shooting! 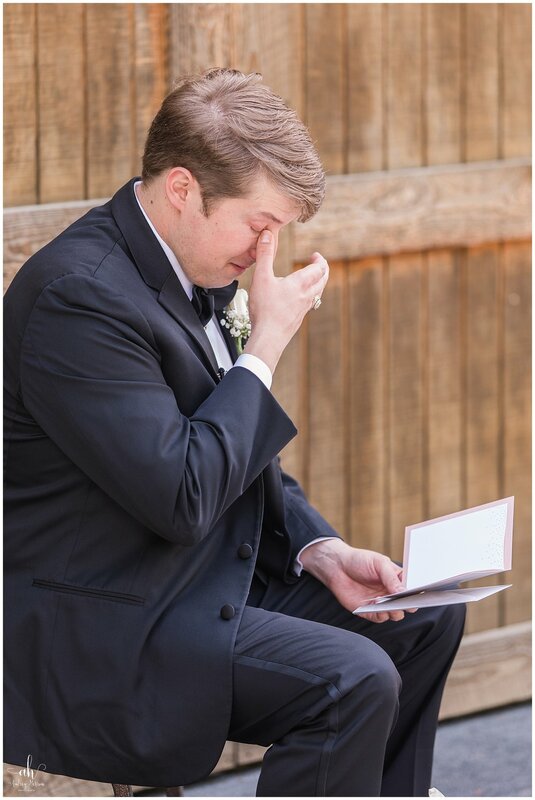 It was one of the sweetest, most emotional first looks I’ve ever had the honor of capturing. We walked them to the back field area behind the venue to get a few portraits, and then saved the sunset time for their “just married” photos. 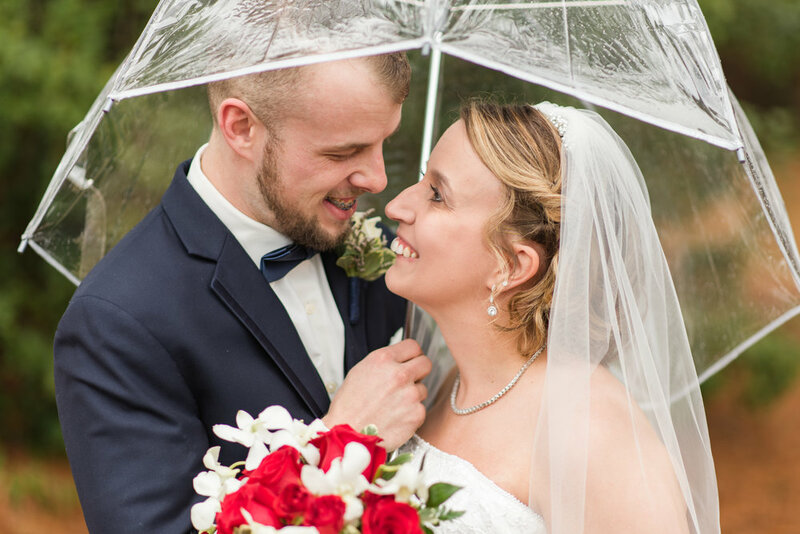 The ceremony was also sweet, with lots of happy tears, and Cassie and Parker beamed after sharing their first kiss as husband and wife and turned to face their family and friends. 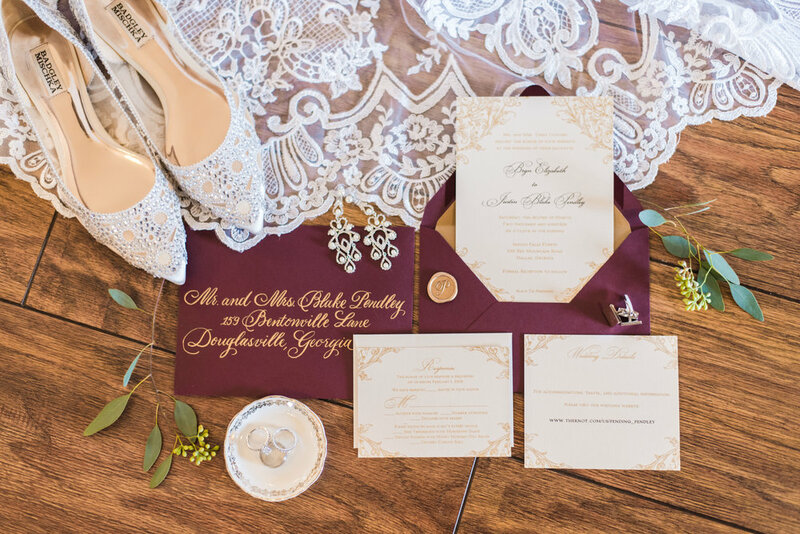 After some gorgeous “just married” photos with the sun setting behind them, they were introduced as husband and wife and the celebration began! 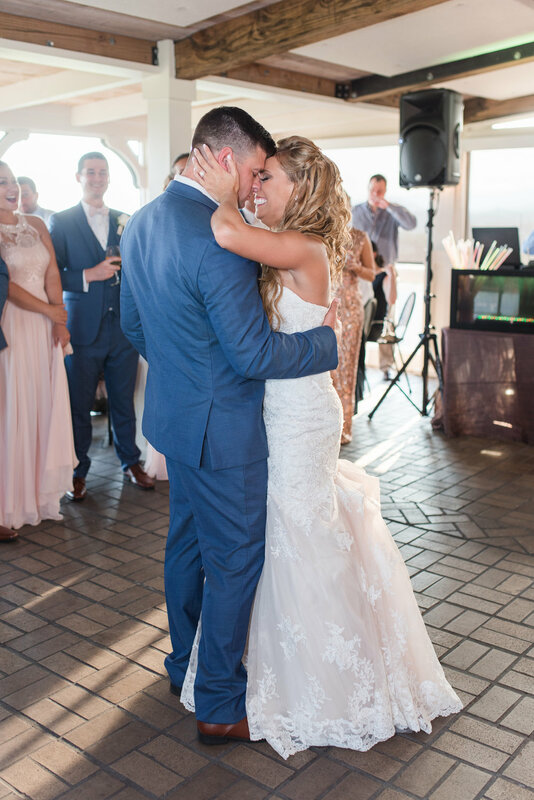 As the whole day had been, the first dances were all sweet and emotional, and when the toasts began, they all commented on how special these two individuals are. 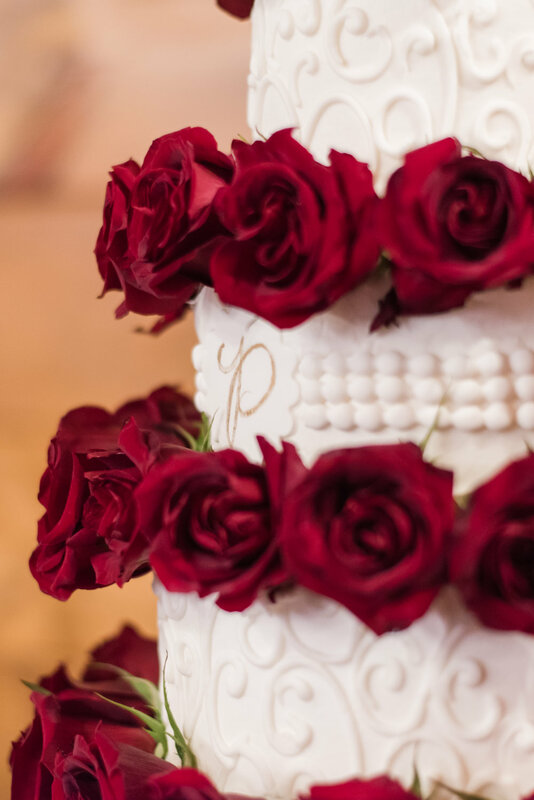 Cassie and Parker cut their cake, and then Cassie ascended to the “Juliet” balcony to toss her bouquet. 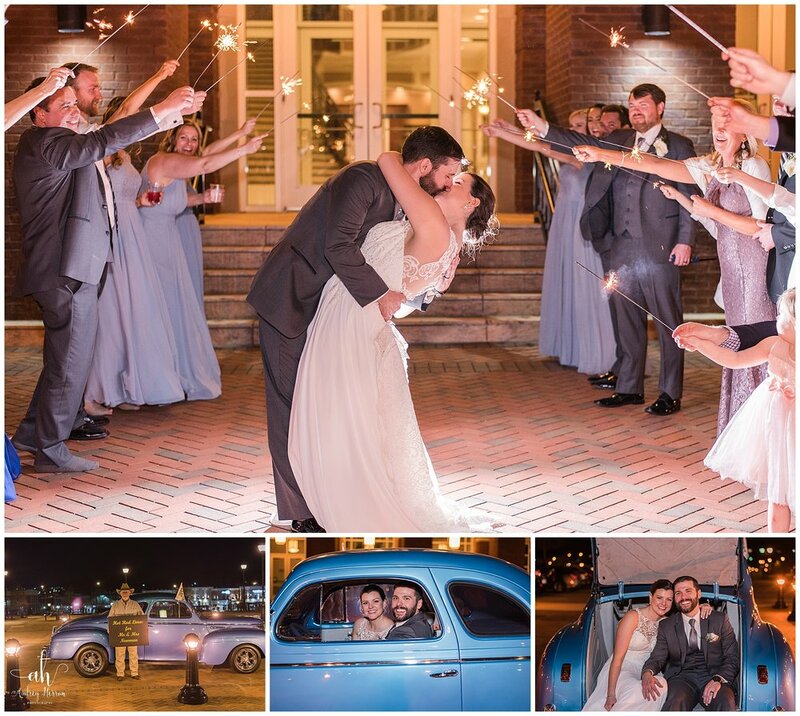 They ended their beautiful celebration with a sparkler send off! 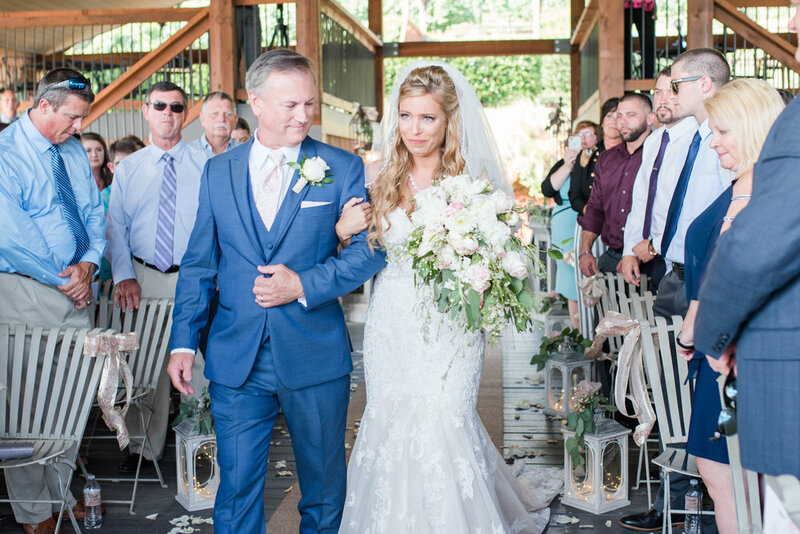 As far as father-of-the-brides go, I have to tell you—I’m not sure I’ve ever seen a bride’s father work as hard as Cassie’s did to make sure his daughter’s day was perfect! 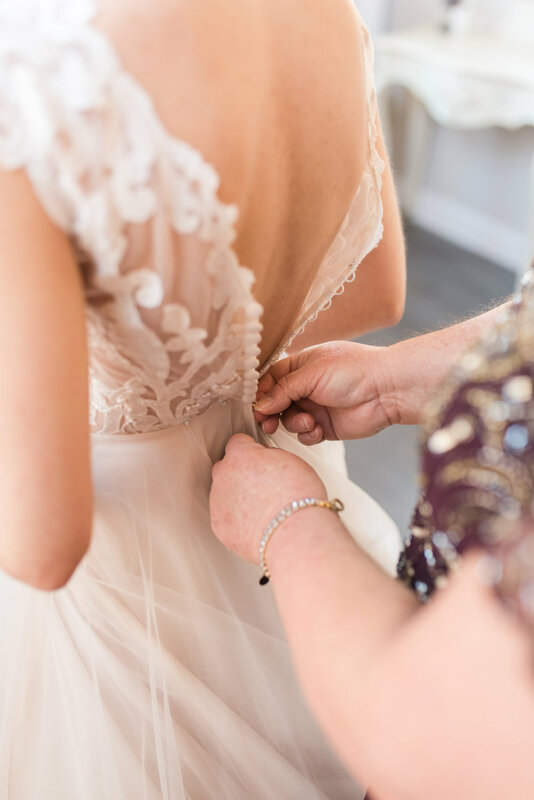 Mr. Chupp was the first person who met me at the venue with Cassie’s details, he helped hang the dresses on matching hangers, he was involved in setting up, running things back and forth, and he even set out the sparkler stands for her exit. His love for his daughter was evident in how hard he worked that day, and it was truly touching to see! 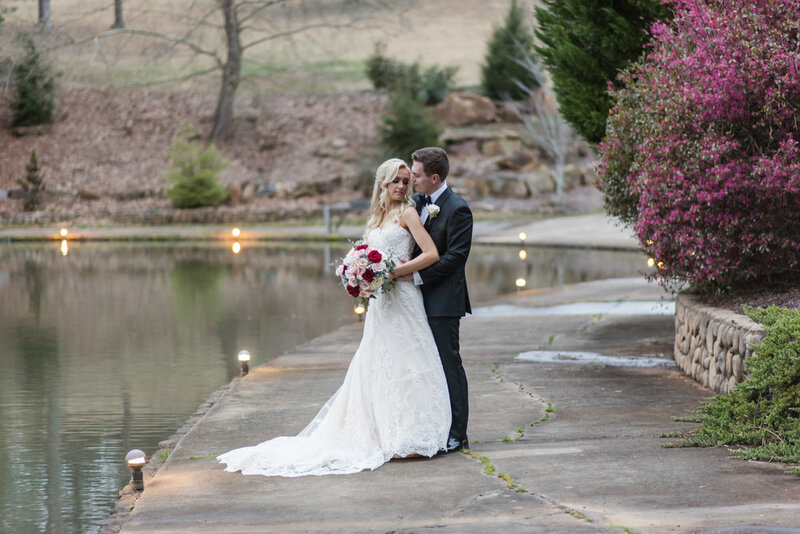 Sweet couples like Cassie and Parker remind me why I love what I do. 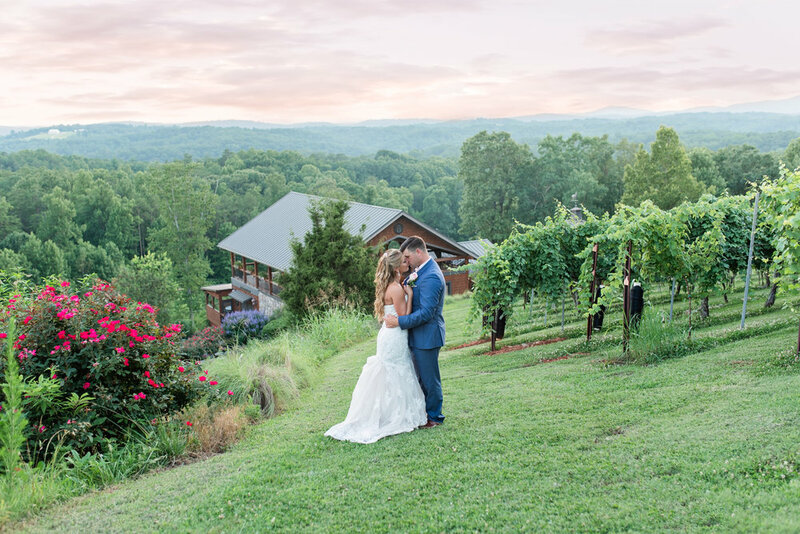 To have the couple’s confidence in capturing their day, their trust in being present for private moments like their first look, and the responsibility to tell their story is something I consider an honor—particularly for Cassie and Parker. 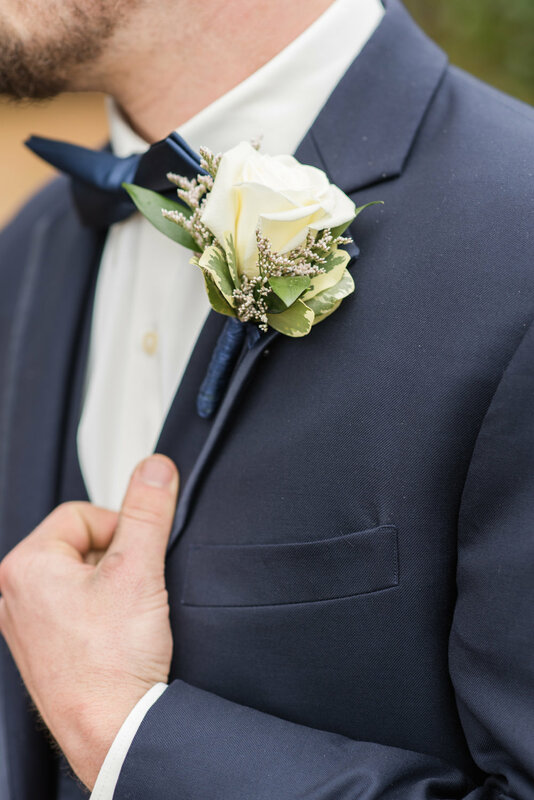 Proverbs 18:22 says “He who finds a wife finds what is good and receives favor from the Lord.” Parker has definitely found a good wife in Cassie—and she a good husband. 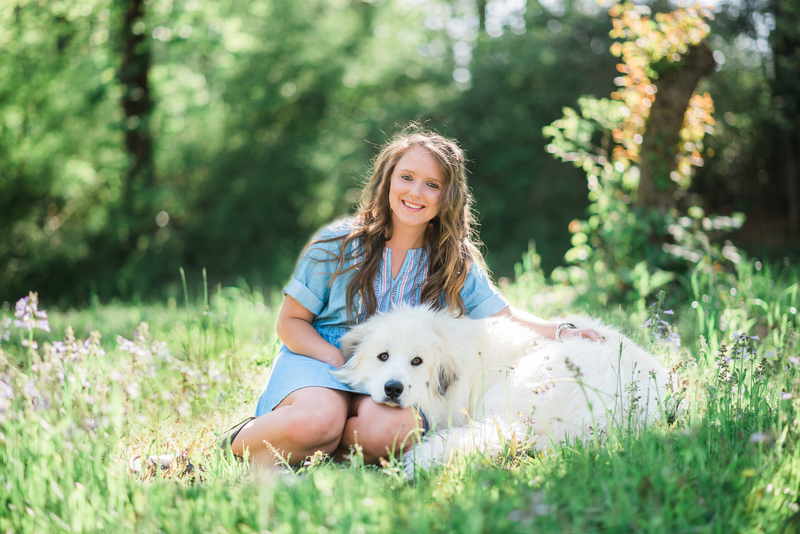 It was absolutely a privilege for me to be able to work with Cassie, Parker and their families! May God bless you both with his favor as you begin this new chapter in your lives! 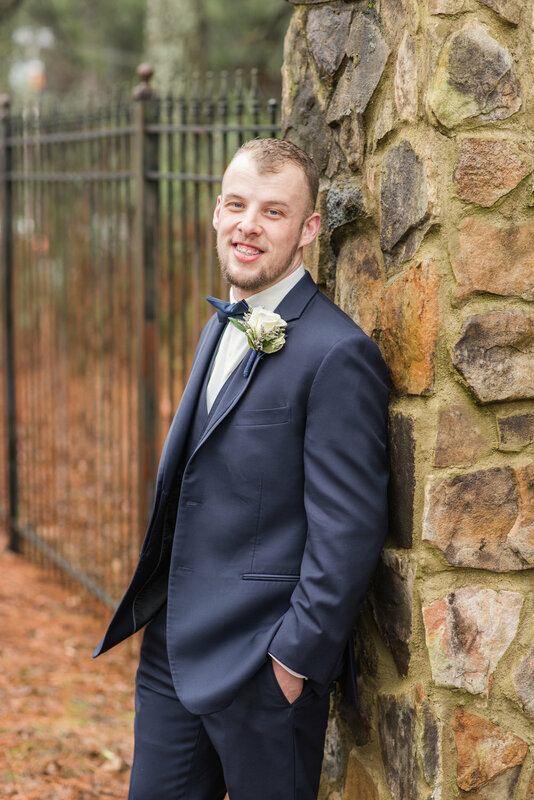 Saturday was a beautiful day in Atlanta for Lawton and Chandler’s wedding. I knew Chandler’s mom, Kim, from my days when I was teaching at Norcross High. 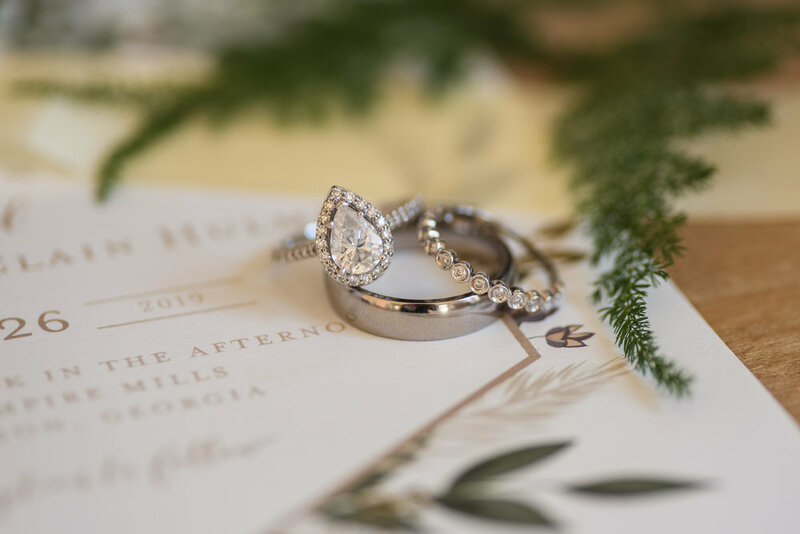 In fact, Chandler was a student in my husband’s math class when she attended Norcross, so it was an absolute joy for me to be able to capture their wedding! When I arrived at the Villa Christina, Chandler and her attendants were busy getting ready! 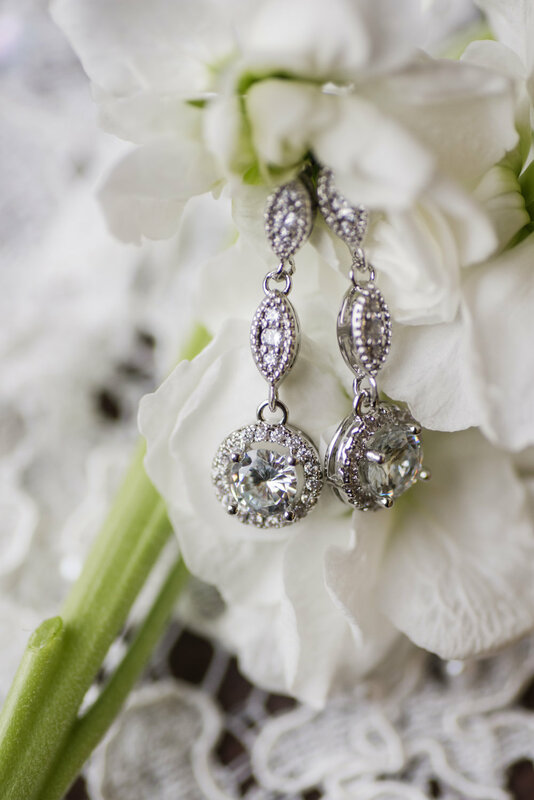 Her details were just gorgeous—her earrings reminded me of angel wings when I put them together on her bouquet to photograph, and her shoes were the most vibrant color blue and adorned with sparkling jewels. 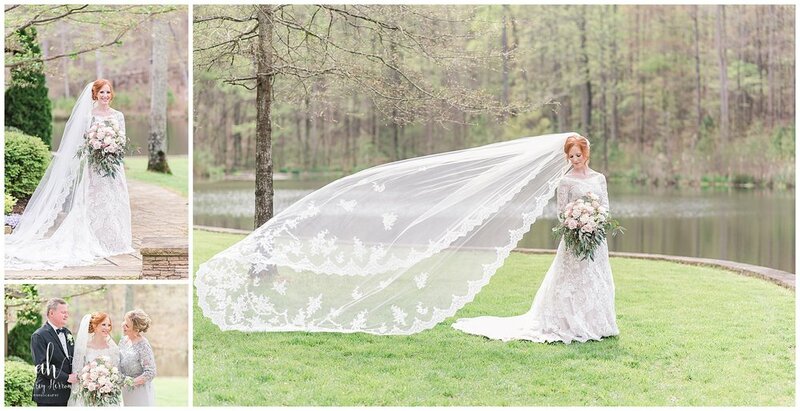 Her stunning veil had belonged to her mother—what an amazing heirloom and sweet tribute to her amazing mom! 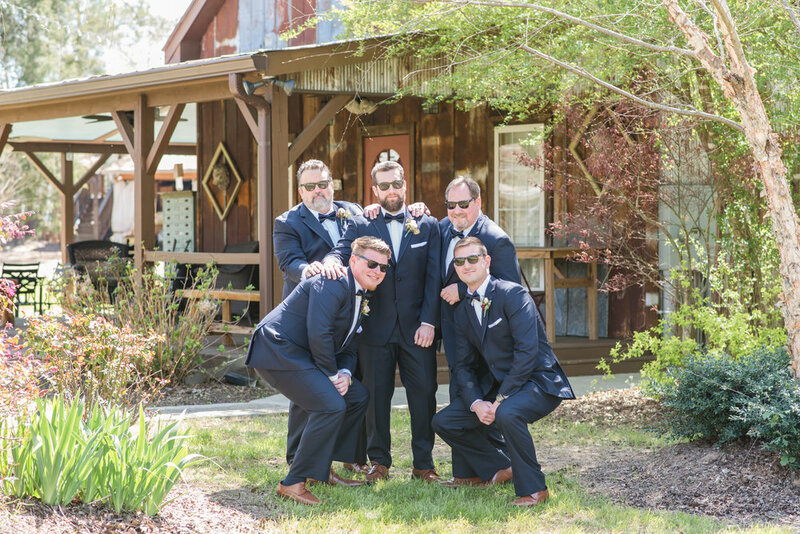 Lawton and Chandler opted for a first look and decided to get all the photos in prior to the ceremony so they could relax and celebrate after they said their vows. 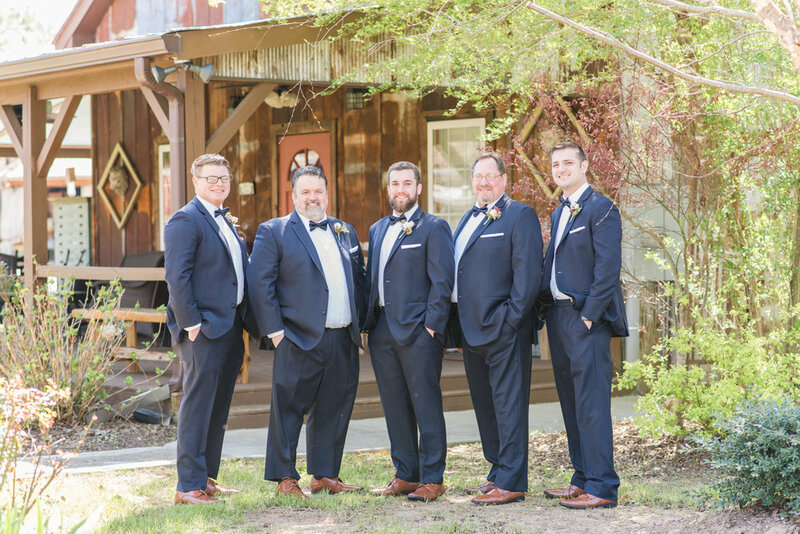 The clouds were building in the afternoon, and after shooting Lawton with his groomsmen and Chandler with her attendants, Chandler went in to cool off before her first look with Lawton. It may have been the first weekend in October, but this is Georgia—and ya’ll locals know how fall goes down here in the south—this “fall” weekend, the high was 90! We placed Lawton, and brought Chandler out when she was ready. 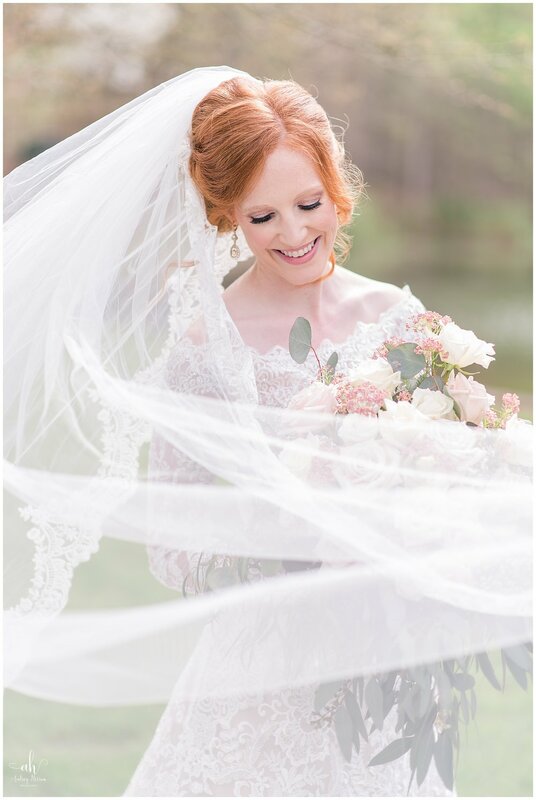 After a few sweet moments, we moved on to their portraits, making sure to use Chandler’s stunning veil in several shots! 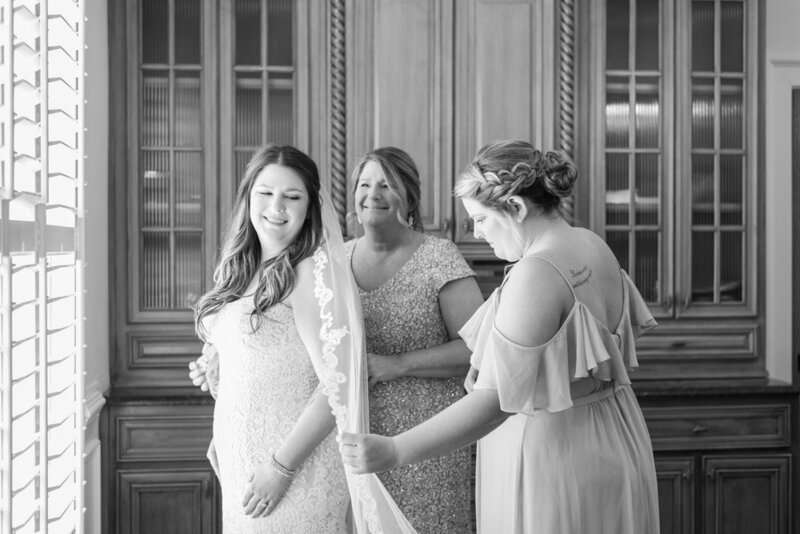 We followed their portrait time with family photos, and Chandler’s maid of honor, Alexa, was amazing at pulling family members in and out of the combinations for an incredibly efficient family portrait time! Their ceremony took place outside, and as guests filed in they picked up ribbon streamers. 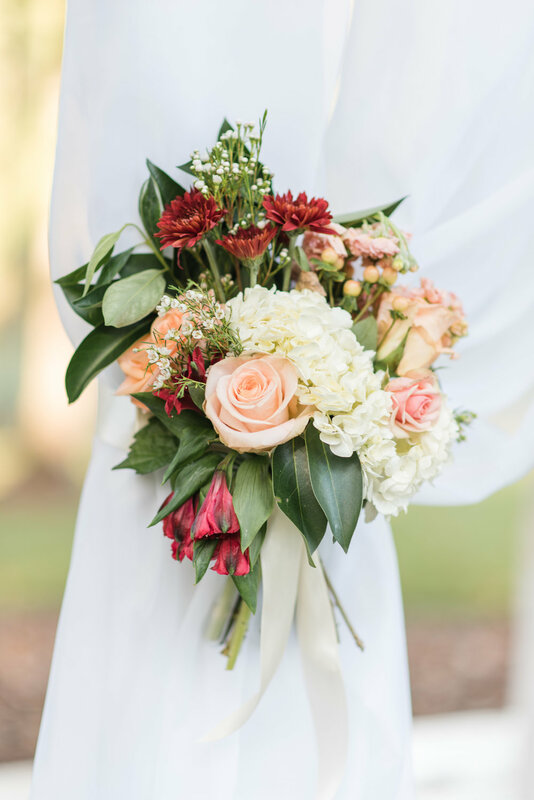 White pumpkins spilling over with flowers paired with navy pumpkins lined the aisle, and two beautiful flower arrangements marked the alter. 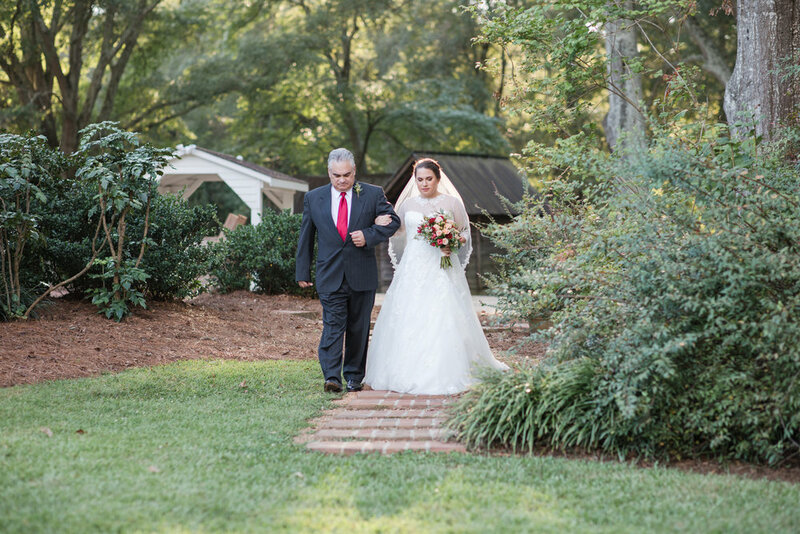 Chandler walked down the aisle with her father and before she reached Lawton, she stopped and embraced her mother. 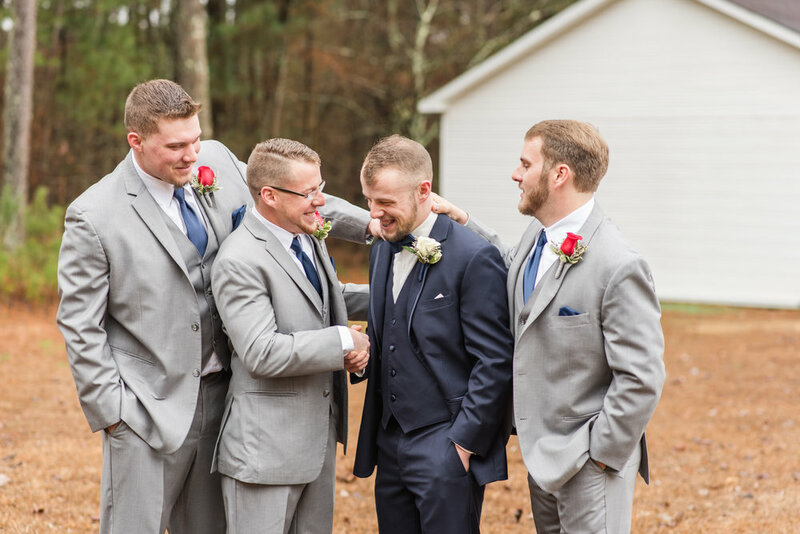 Lawton wiped away a few tears and they stood together and exchanged their vows. 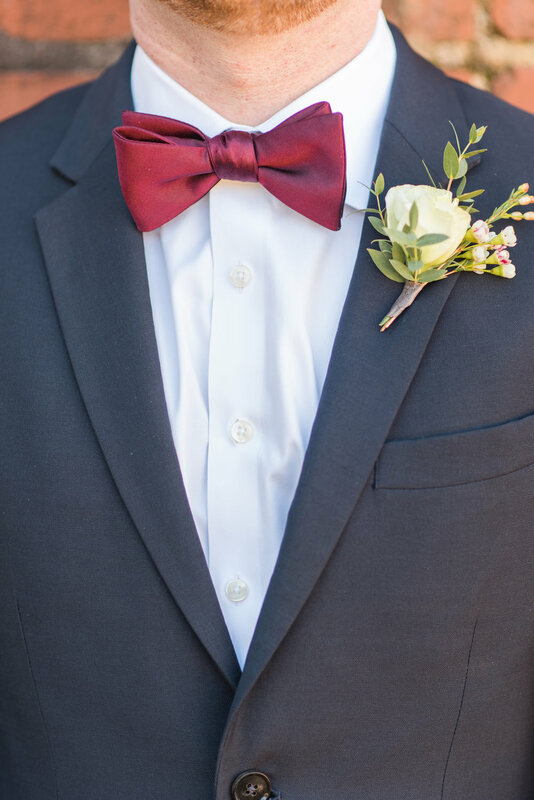 Once they were pronounced man and wife, they joyfully came down the aisle and Lawton dipped Chandler for a kiss amid a sea of waving ribbon streamers. 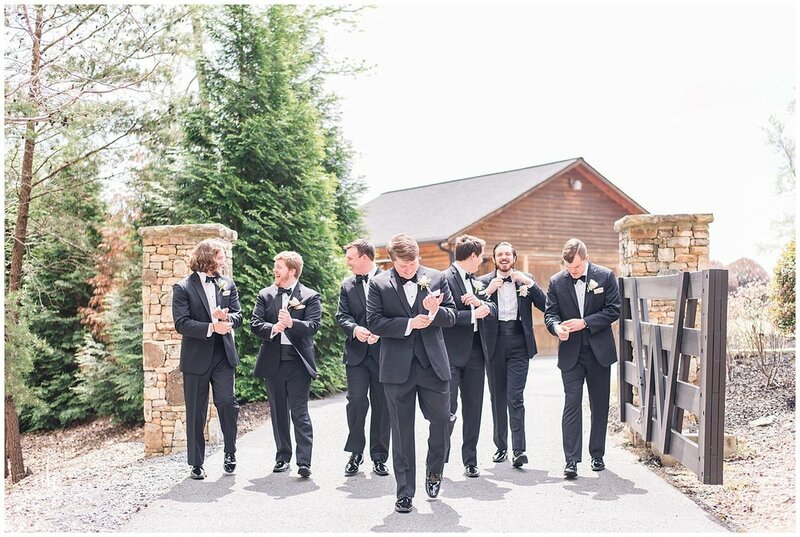 They made their way to the portico where Chandler’s bridesmaids bustled her gown and they had some refreshments. Following that, we went out to the front of the hotel for some shots and then headed to the reception. 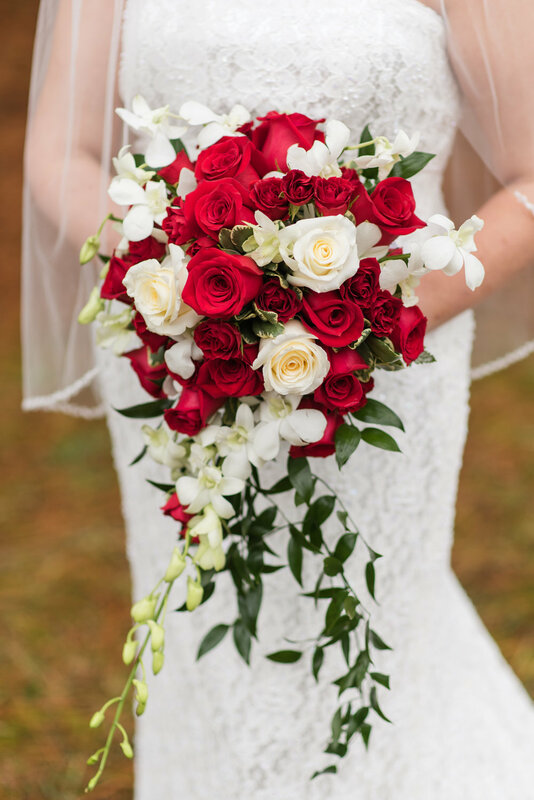 The bouquet was tossed, the garter was found to the music from Top Gun, and the bride and groom even got up on stage to sing with the band. 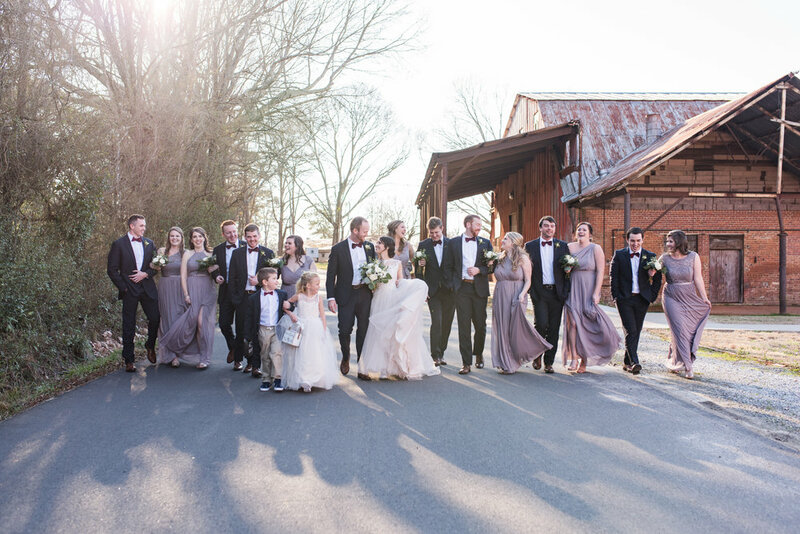 It was a perfect, joy-filled day and celebration of Lawton and Chandler. 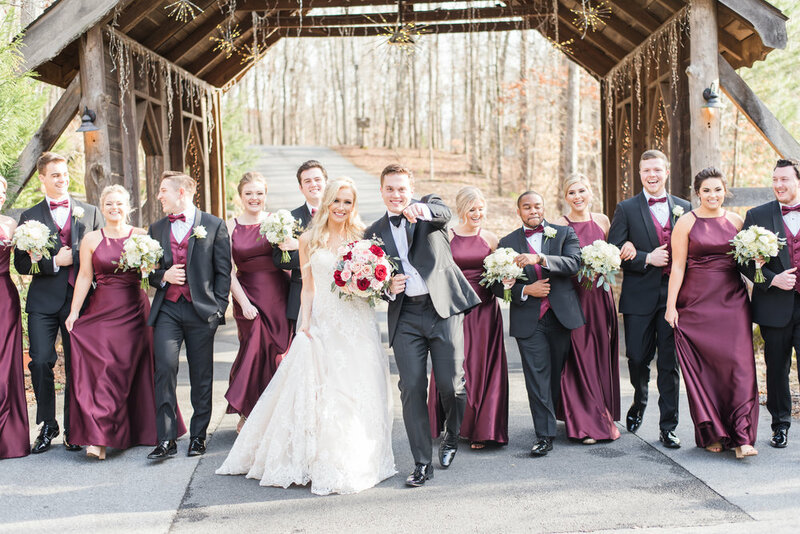 I’m so thankful I was able to be a part of their beautiful wedding—Chandler and Lawton, I wish you an amazing marriage filled with joy, laughter and blessings. 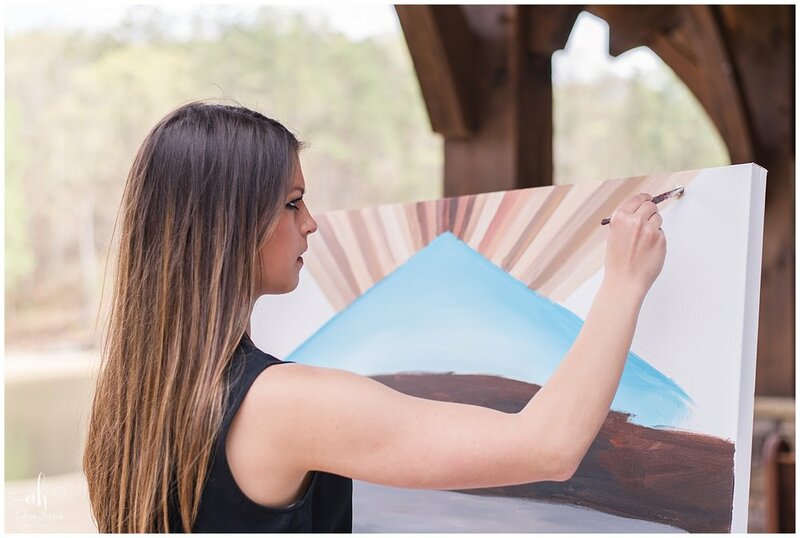 When I first met Hannah, we instantly bonded over our shared love of Jane Austen, music, and everything classic! 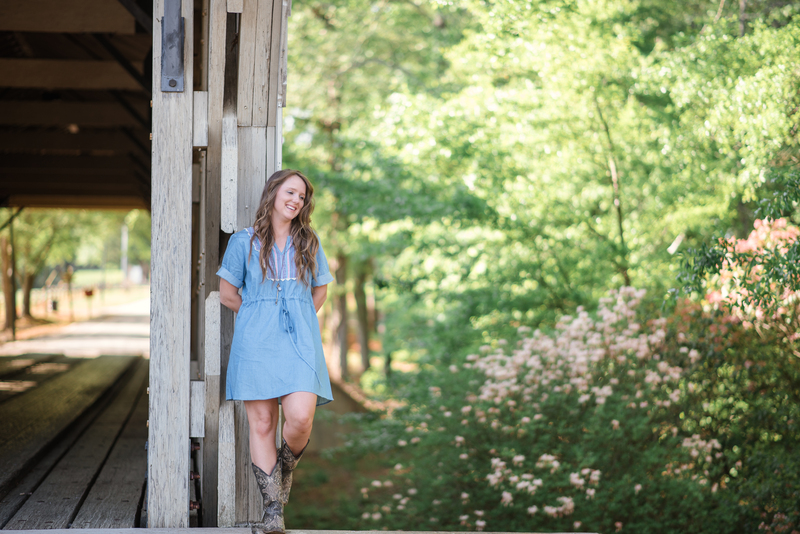 Hannah is a classically trained pianist and her now husband, Riley, proudly serves our country and is currently stationed at Fort Hood. 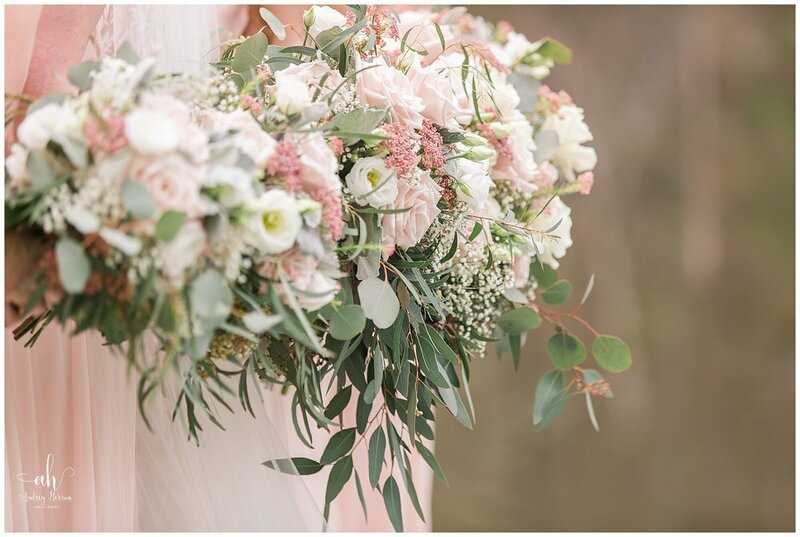 When I met Hannah for her walk-through at the venue, she expressed to me that she wanted her wedding to reflect more “classic English garden” than “rustic”, and I was pretty excited because that was right up my alley! 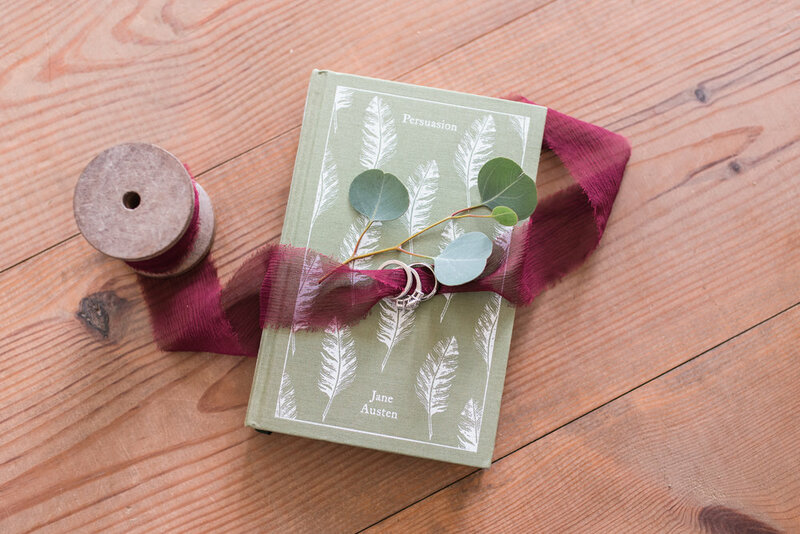 I surprised her with a beautiful copy of Sense and Sensibility, one of her favorite Jane Austen novels, after I used it for a few secret detail photos. (Ya’ll—I even brought an English tea cup from home, and a silver English spoon that Hannah didn’t know about…I was excited to get creative…I took the Jane Austen idea and ran with it!) 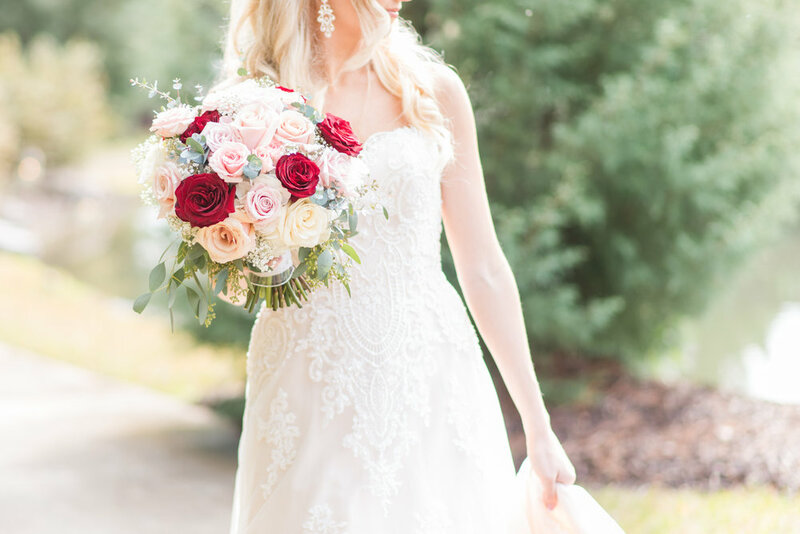 Hannah dressed upstairs in the white farmhouse, and her dress was just classically beautiful—the perfect dress for Hannah. From the first day I met with Riley and Hannah, Riley answered everything I asked with “yes ma’am”. That hadn’t changed, and he was an absolute gentlemen during his pictures. 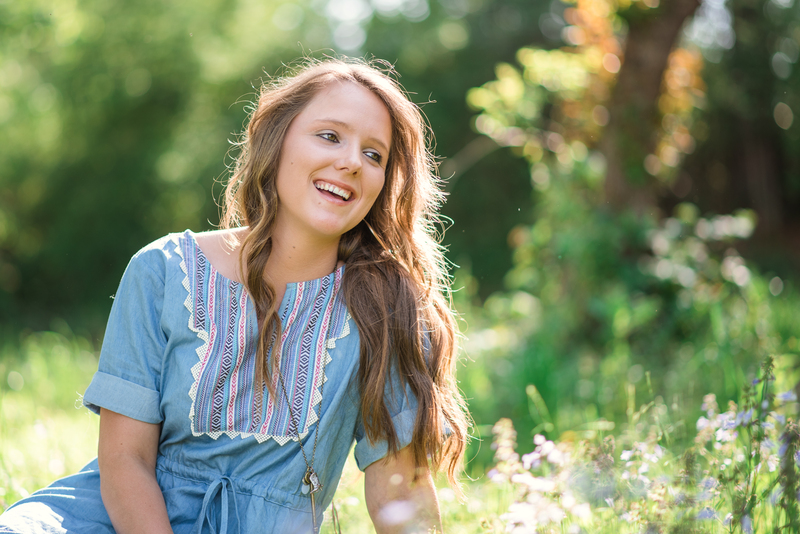 After a sweet first look with Riley, we photographed Hannah. 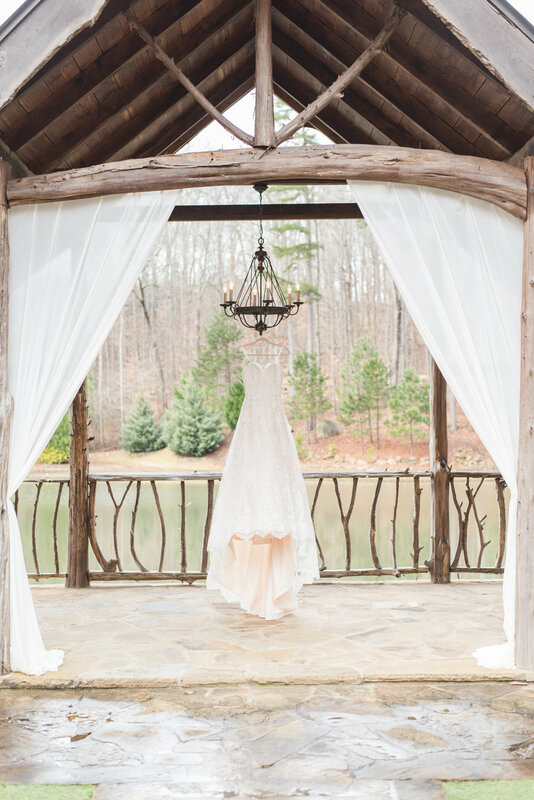 After capturing her outdoors in the gorgeous light, we shot a few inside the farmhouse. In the dining room there was a picture of a woman playing the piano…so it was quite fitting that we snapped a photo of Hannah there to reflect her passion. 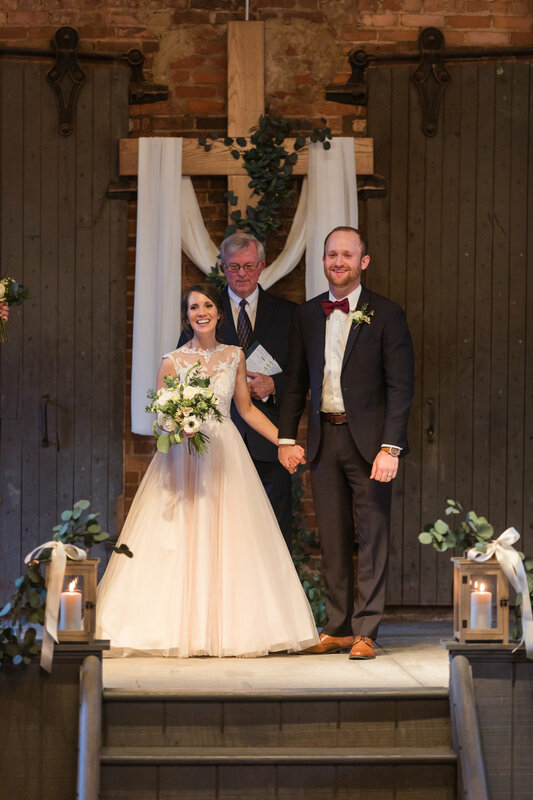 Hannah’s ceremony was God-centered, classic, and beautiful. 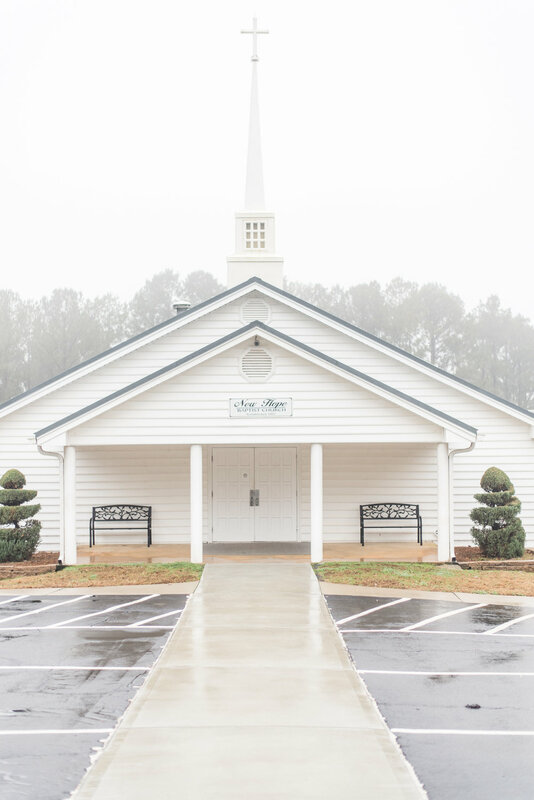 She and Riley lit a unity candle, and Hannah’s piano teacher sang a beautiful prayer to bless the couple. 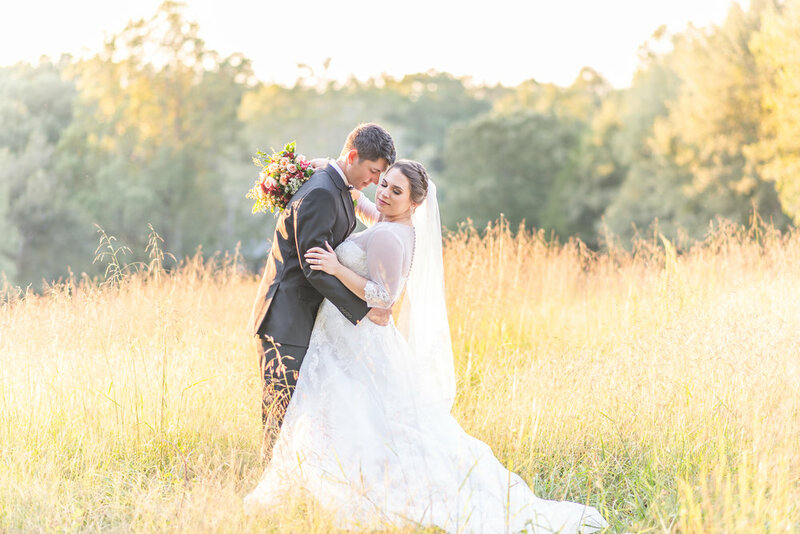 After the joyful couple sealed their vows with a kiss, we whisked them off to an adjoining field for some golden hour shots! Hannah was a trooper walking into the tall grass—and the sun setting across the field reminded me of some of the scenes from Pride and Prejudice…so we had Riley walk across the field to give Hannah a “Mr. Darcy” shot! 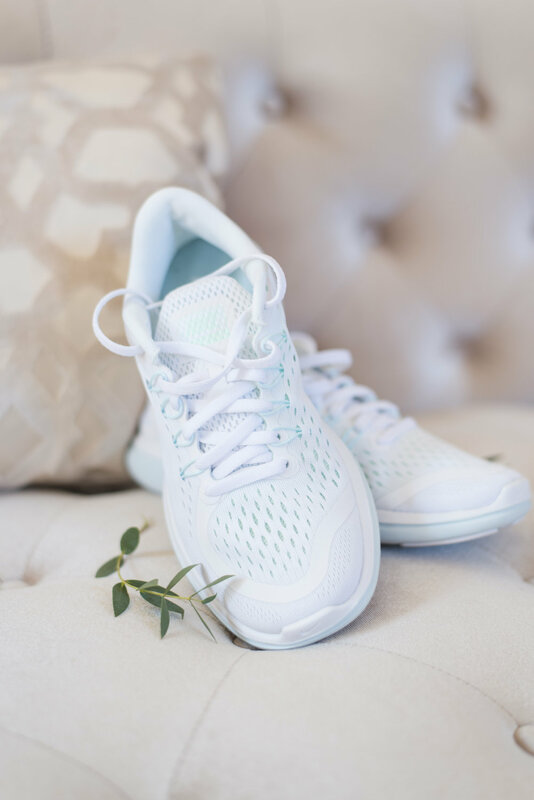 You know that one ladies….the one where Mr. Darcy (Matthew MacFayden) walks across a misty morning field and professes his love for Elizabeth… “You have bewitched me body and soul..” but I digress. All in all, Hannah and Riley’s day was just perfect, and will always be a memorable wedding for me. 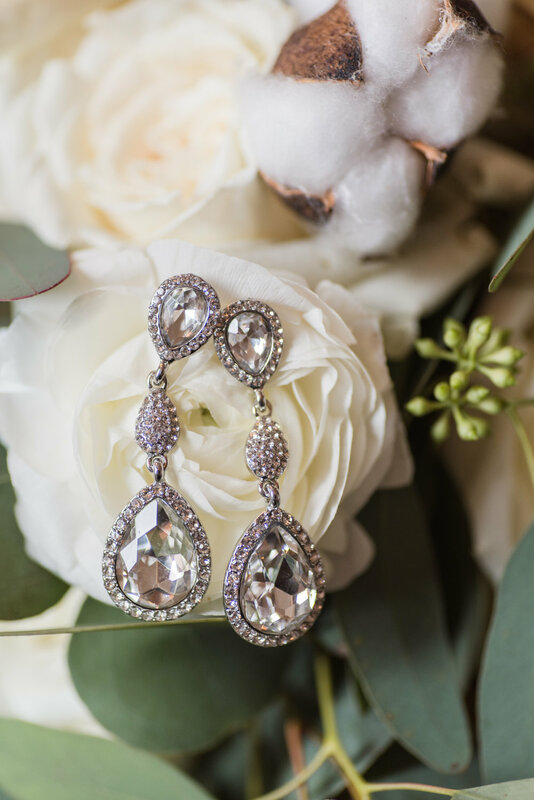 I had so much fun incorporating things I am passionate about into Hannah’s and Riley’s day. 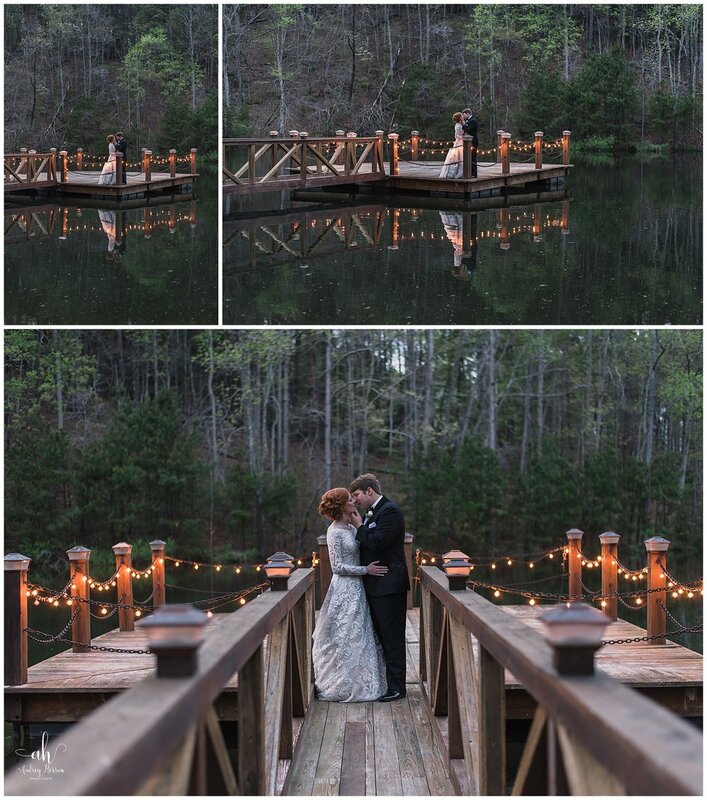 This couple was just so special and sweet…I am beyond thrilled I was able to capture these memories for them. Riley and Hannah—thank you for your service, and may the Lord bless you and keep you all the days of your lives. 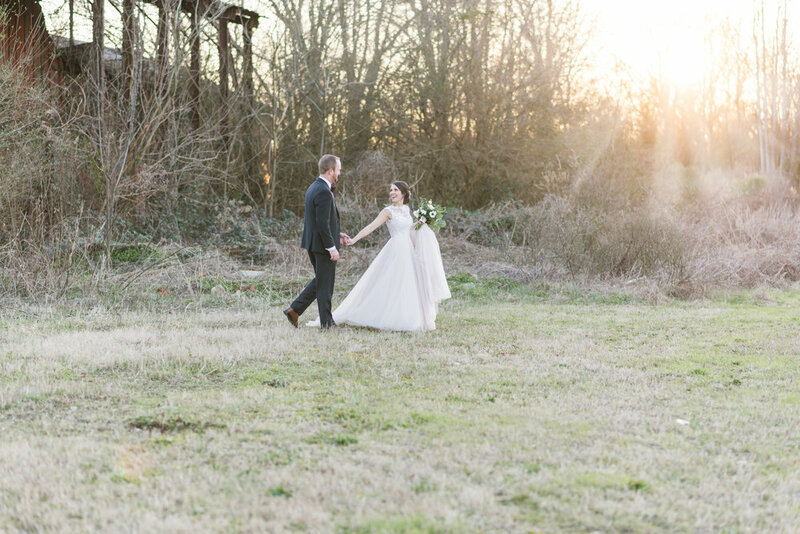 You’ve heard of high school sweethearts—meet Laura Beth and Tanner—childhood sweethearts who tied the knot at Empire Mills in Madison, Georgia. 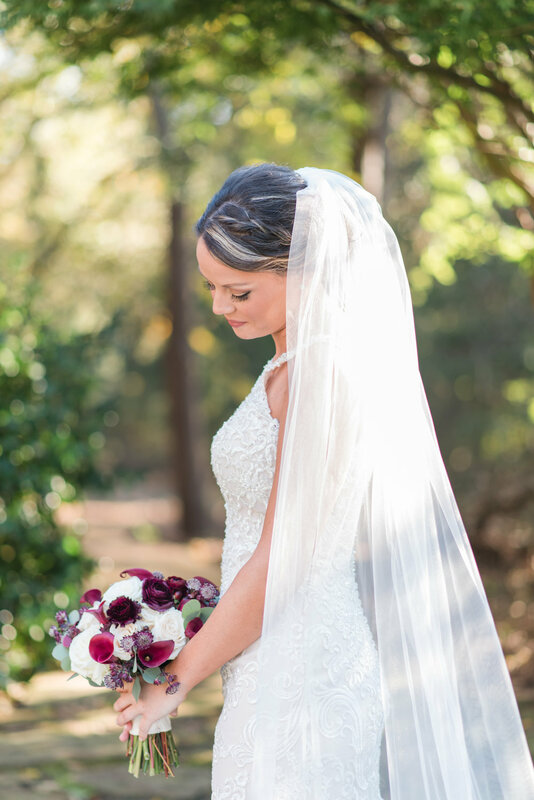 Kayla and Casey’s woodland wedding was something out of a storybook. 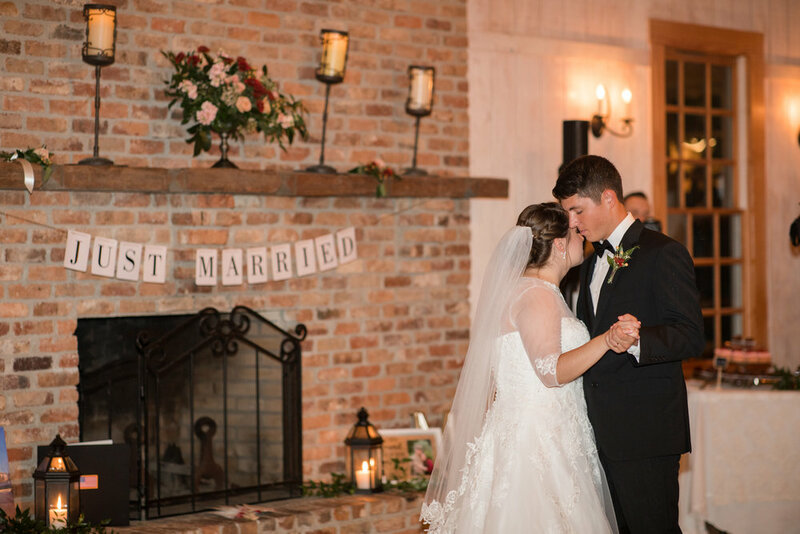 From the open barn with twinkling lights, the canopy covered brick farmhouse, and the quaint fireplace complete with a chandelier and wooden cross, it was an enchanting, memorable evening!